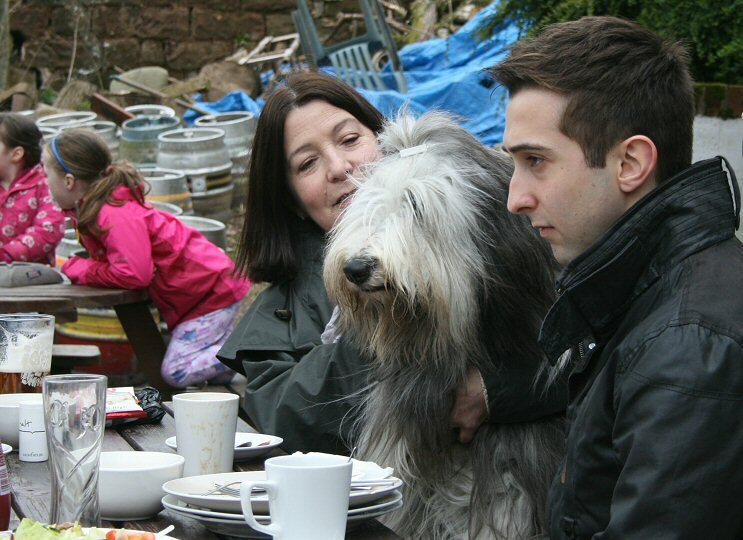 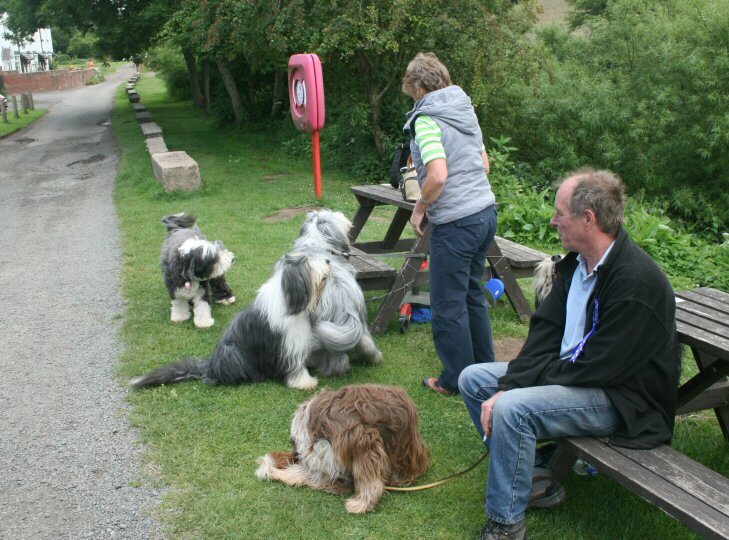 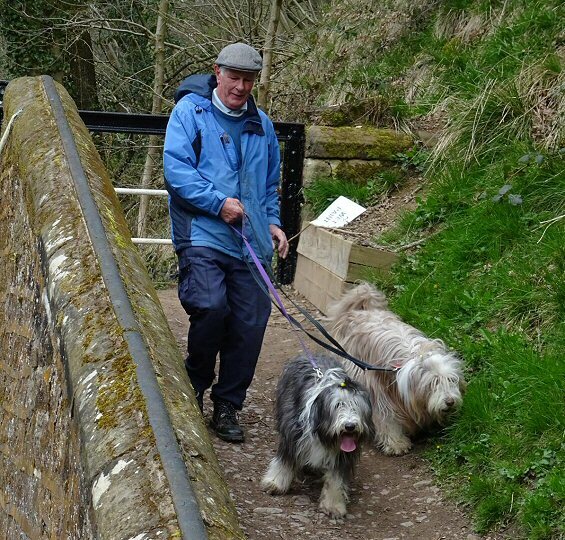 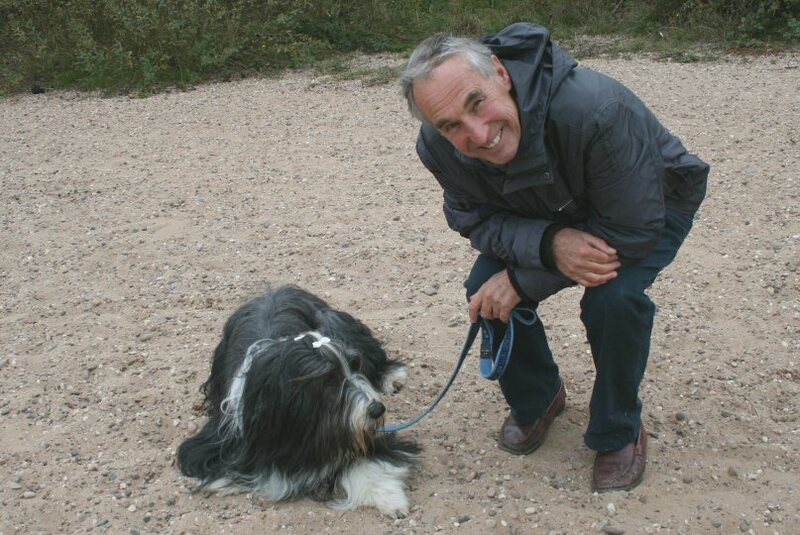 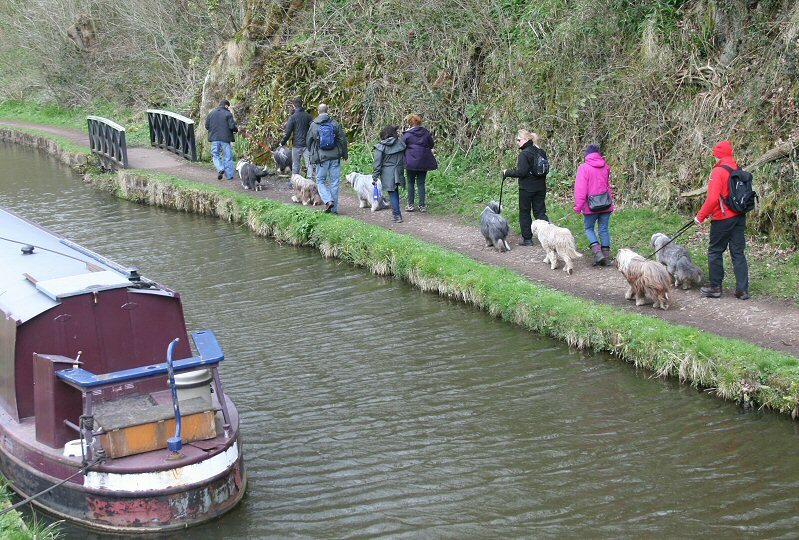 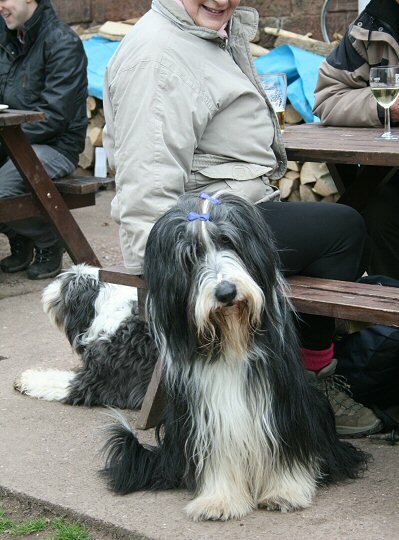 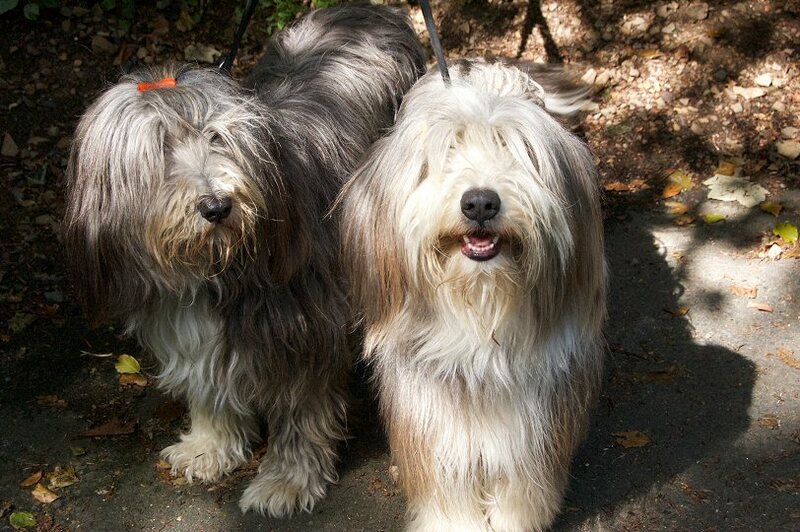 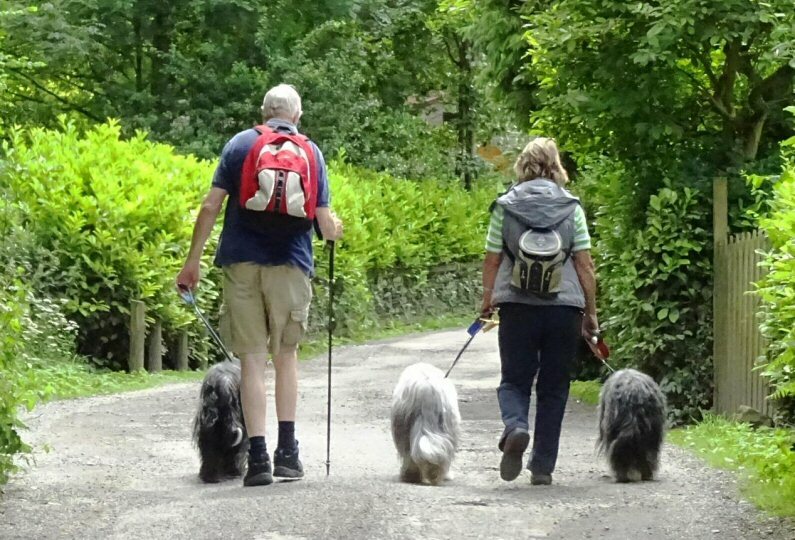 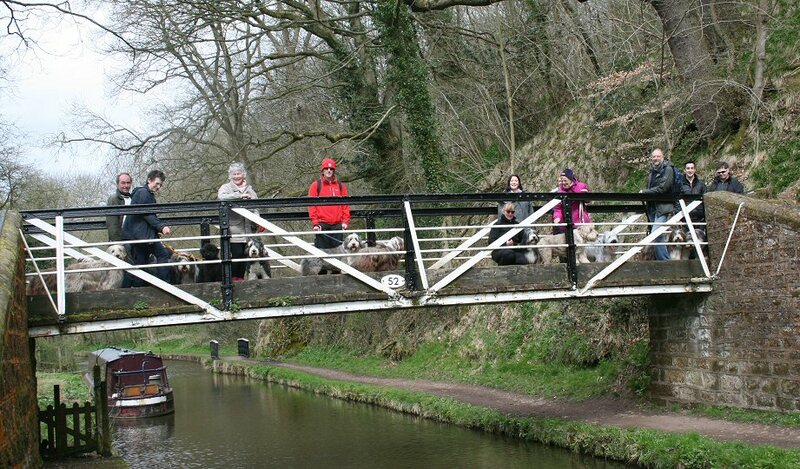 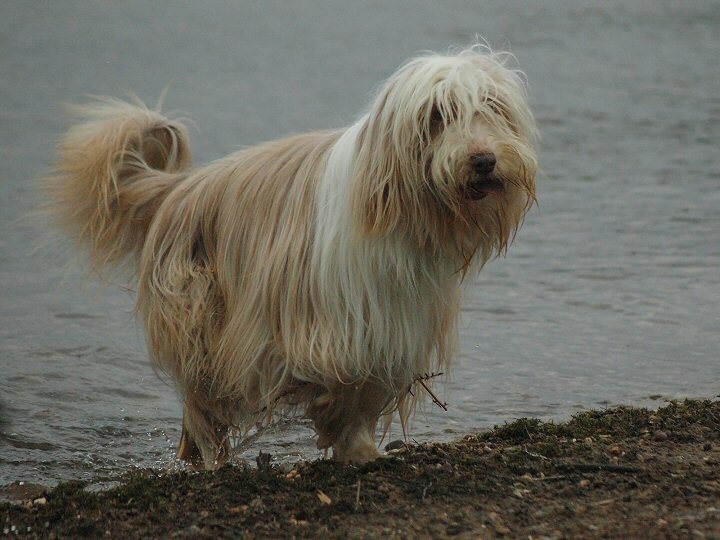 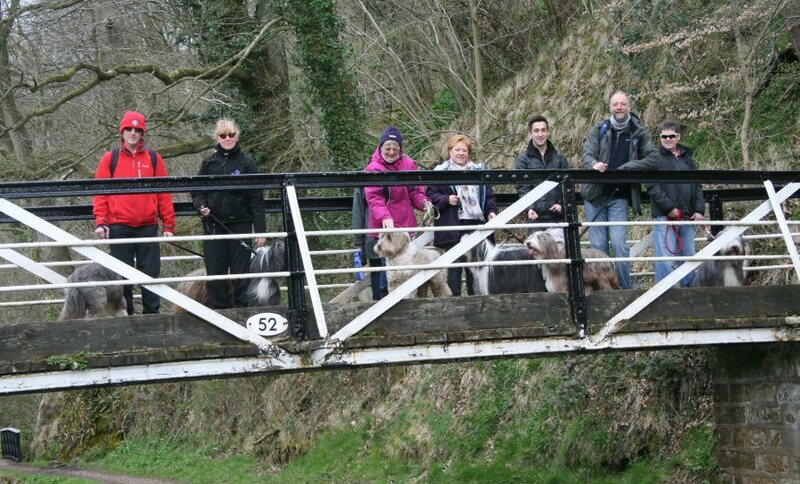 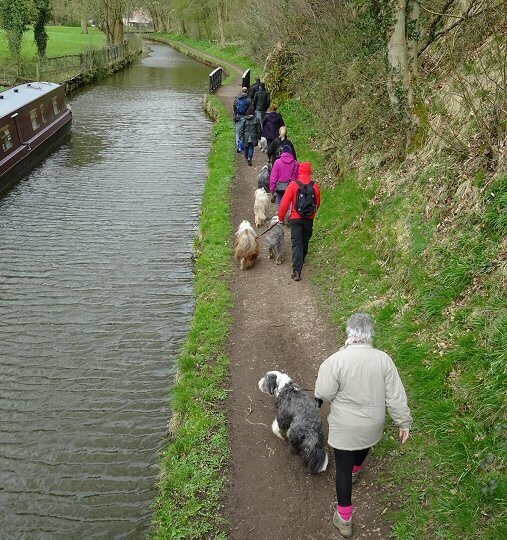 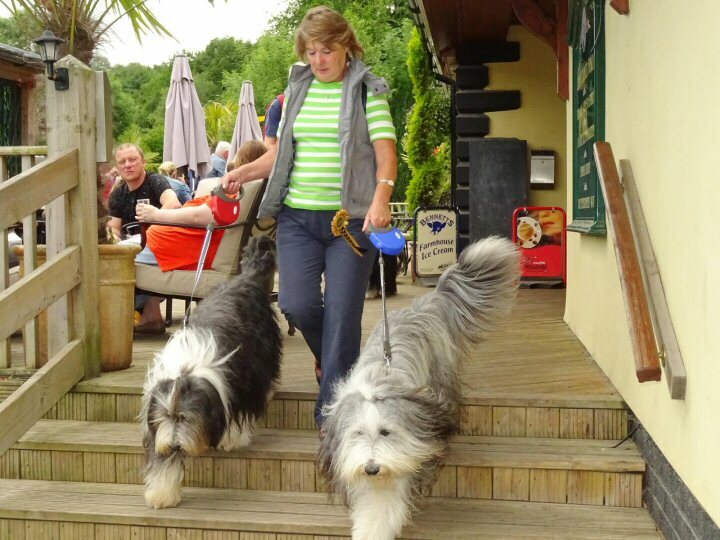 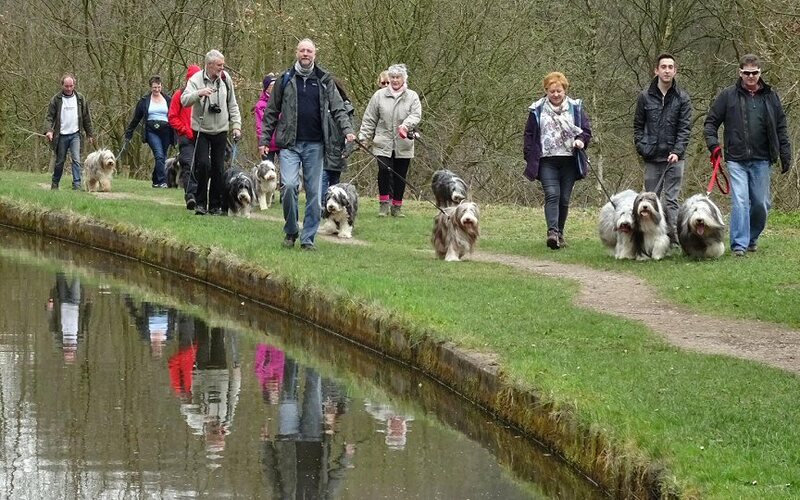 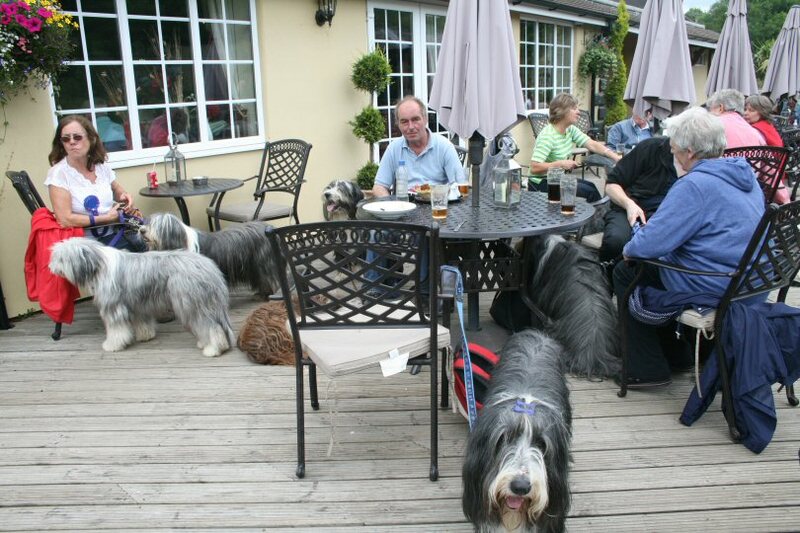 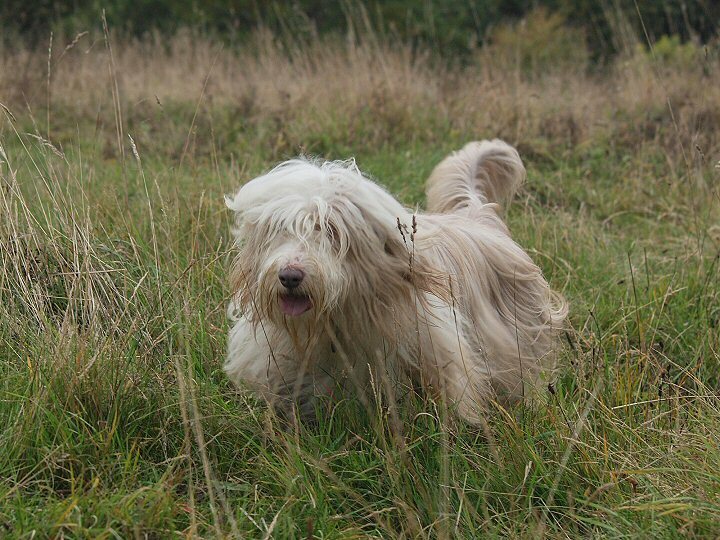 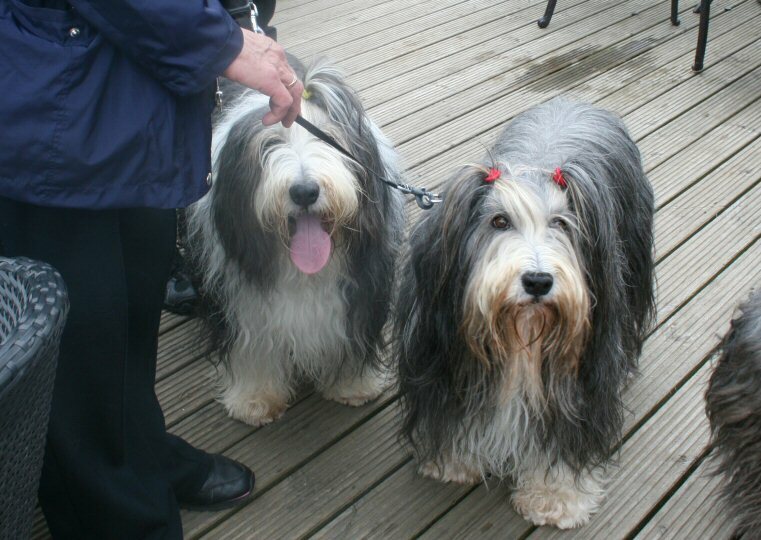 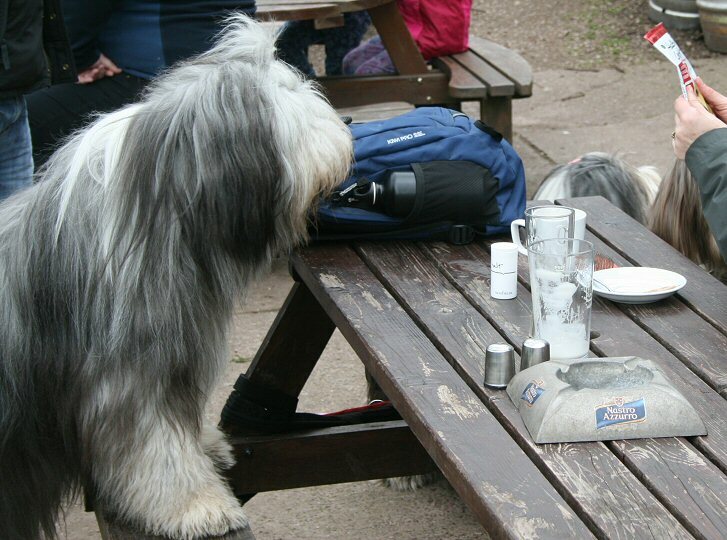 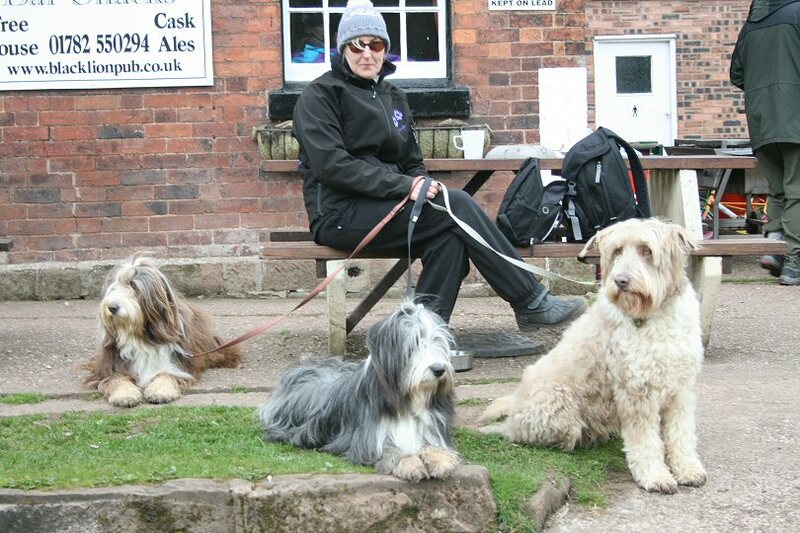 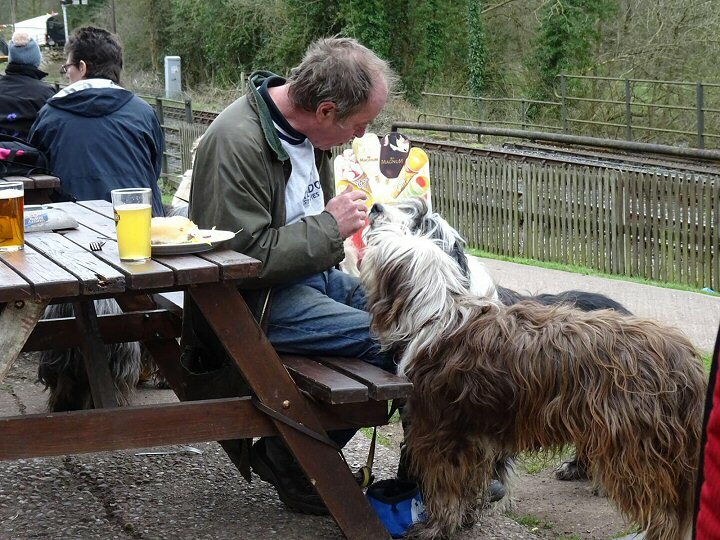 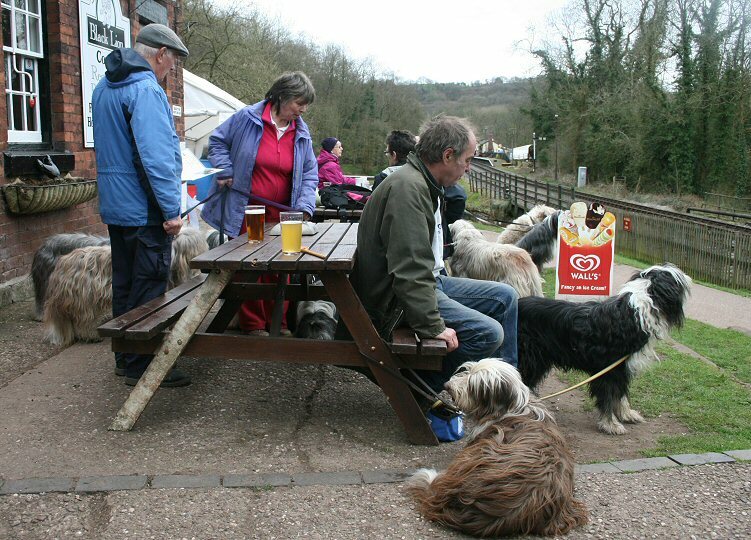 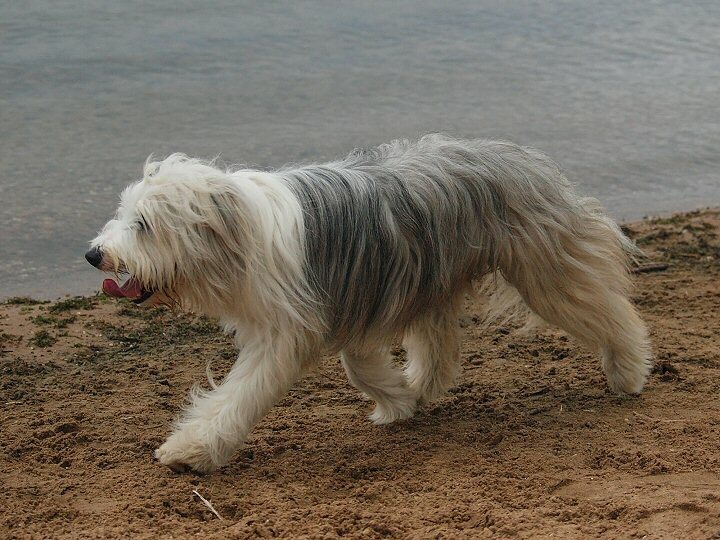 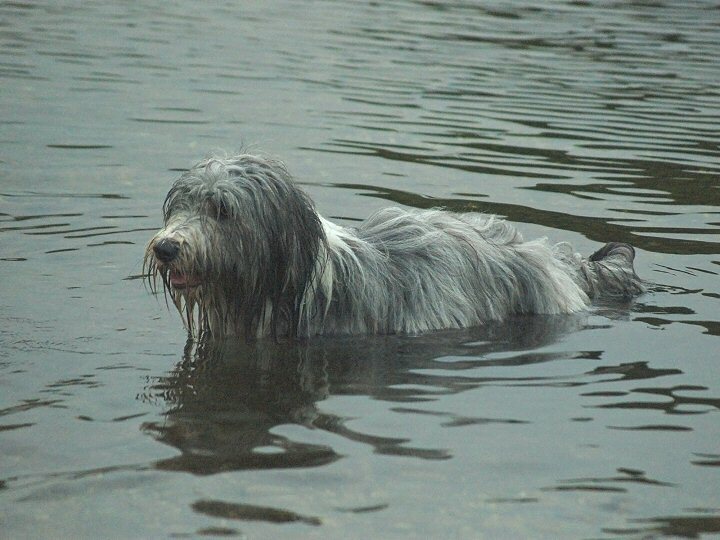 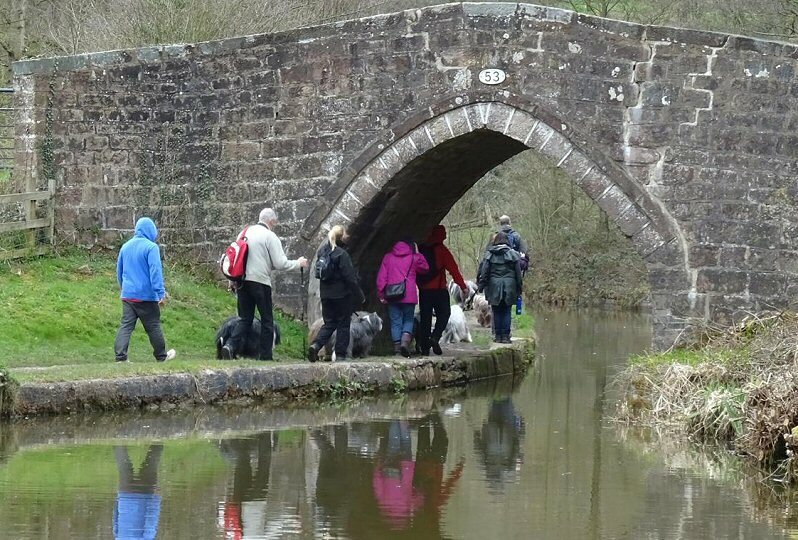 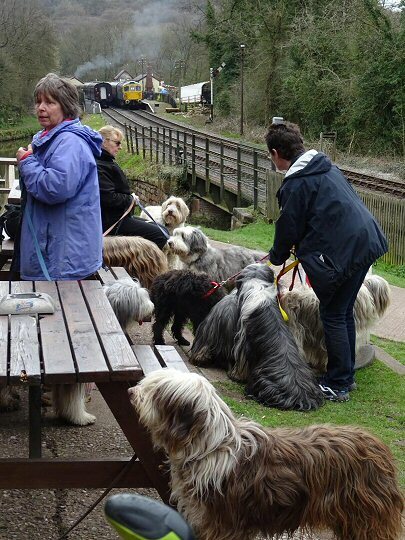 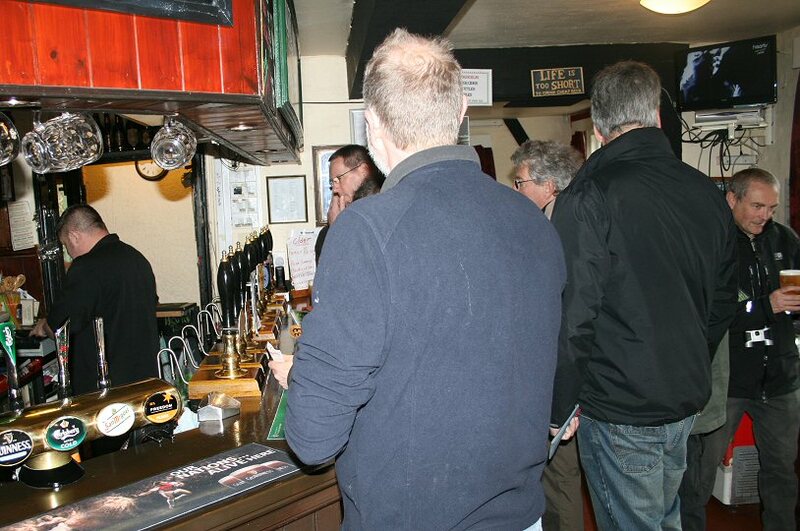 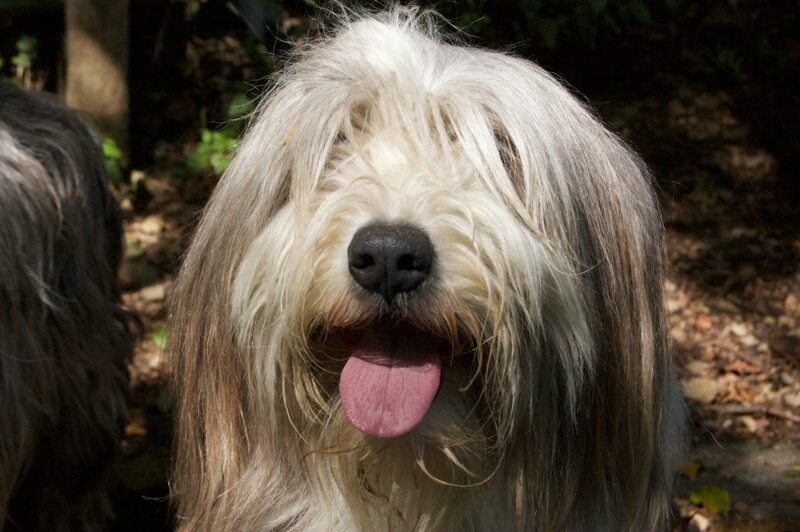 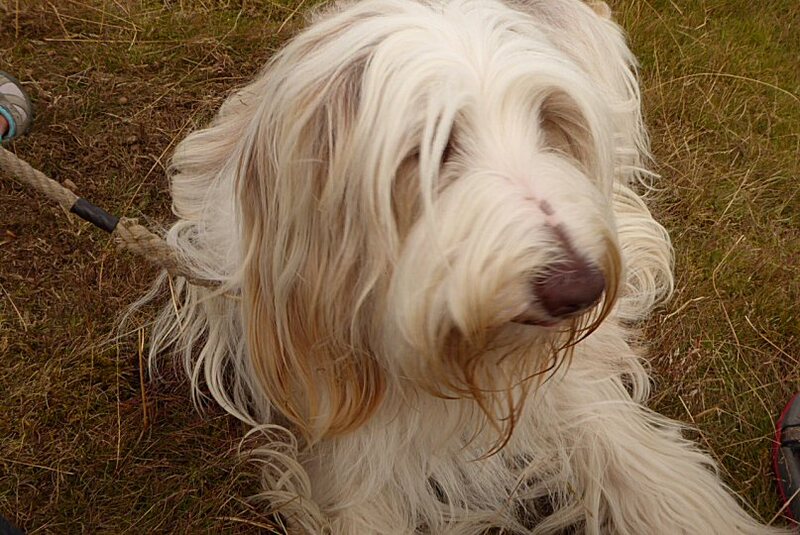 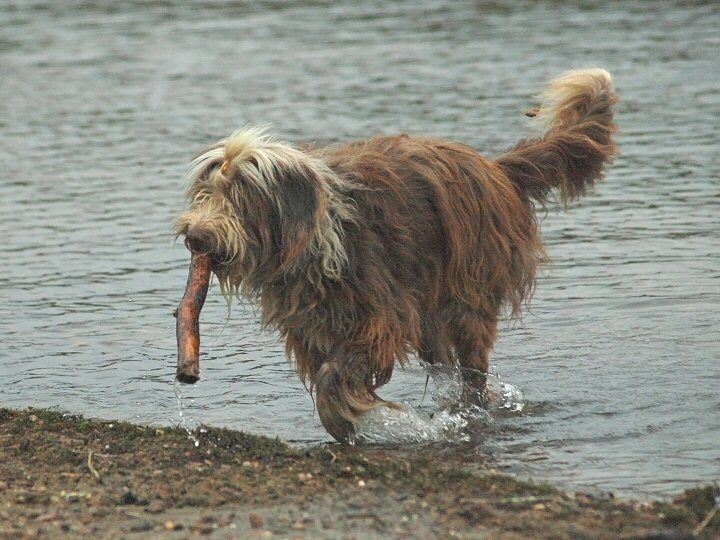 Ominous forecasts of high winds and heavy rain proved to be false - at least for the duration of our Spring ramble - and around sixteen members and even more Beardies enjoyed a pleasant canal-side walk followed by refreshment at the ever-popular Black Lion. 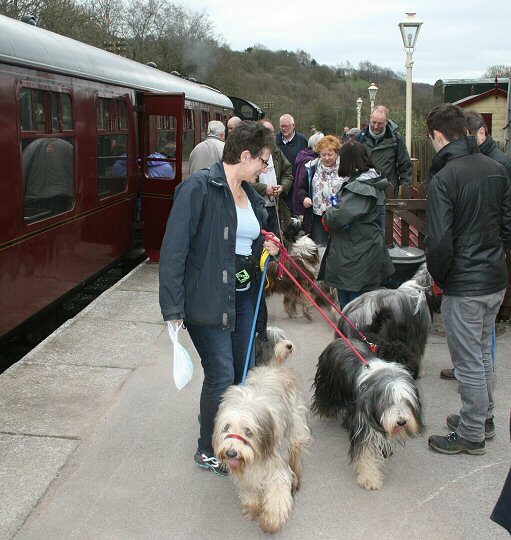 The majority then caught the train (just!) 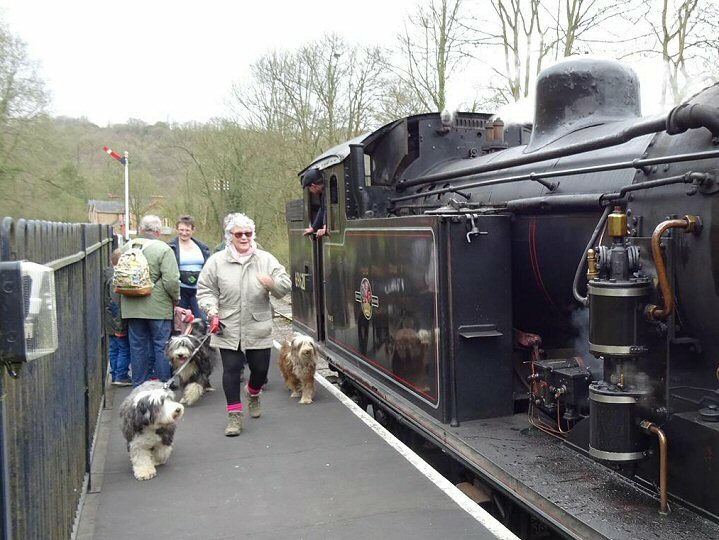 from the pretty station at Consall back to their cars at Froghall. 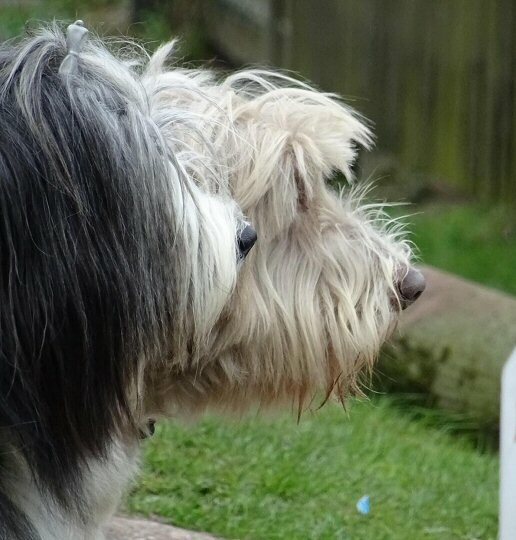 Such is the temperament of our wonderful breed that none appeared to be phased by the appearance of Daleks, Darth Vader et al. 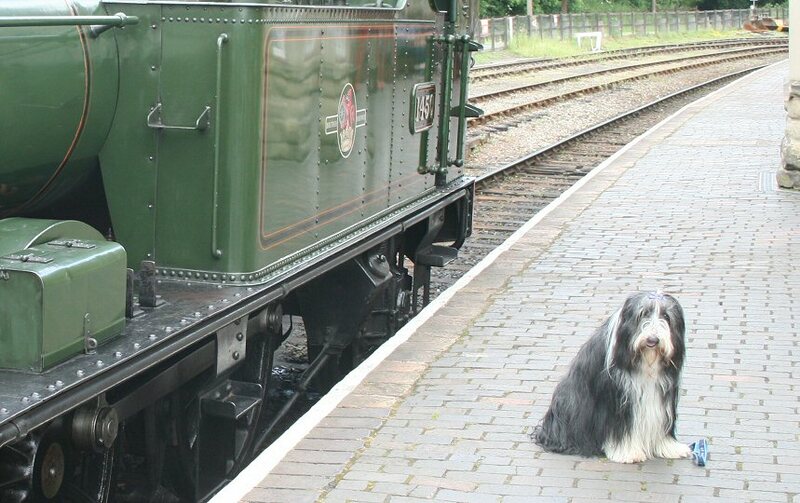 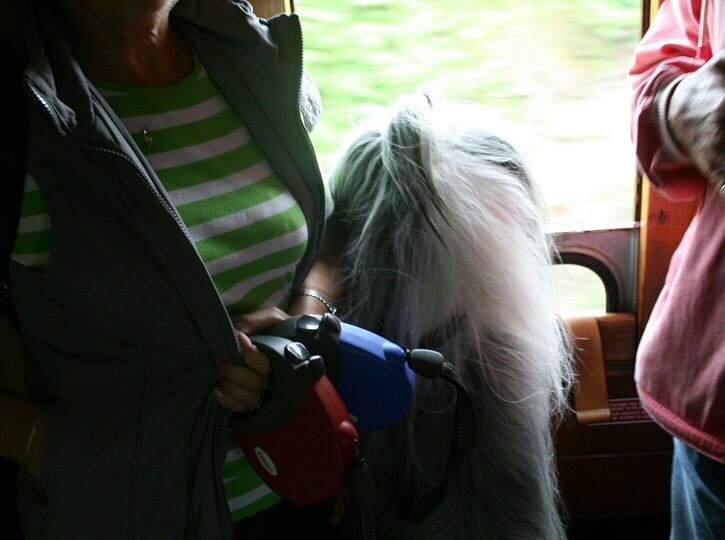 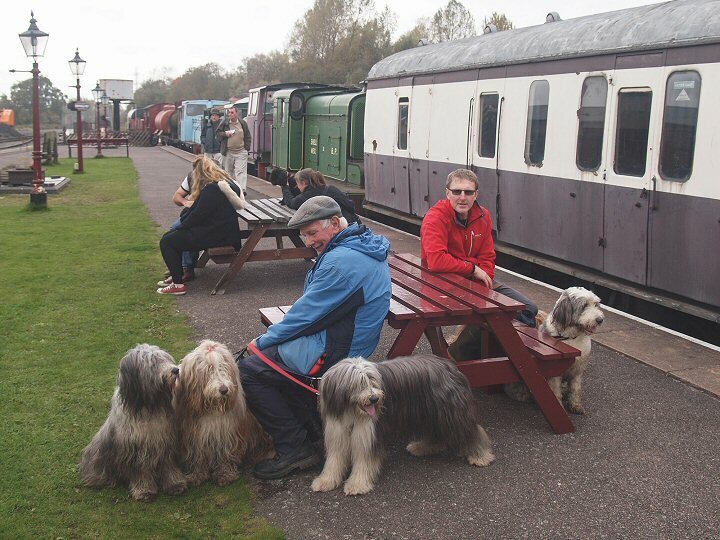 who happened to have invaded the railway as part of their themed weekend! 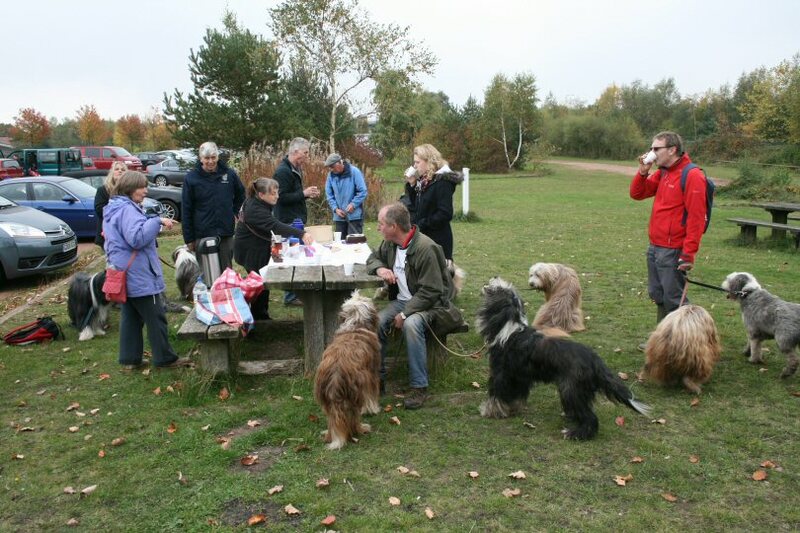 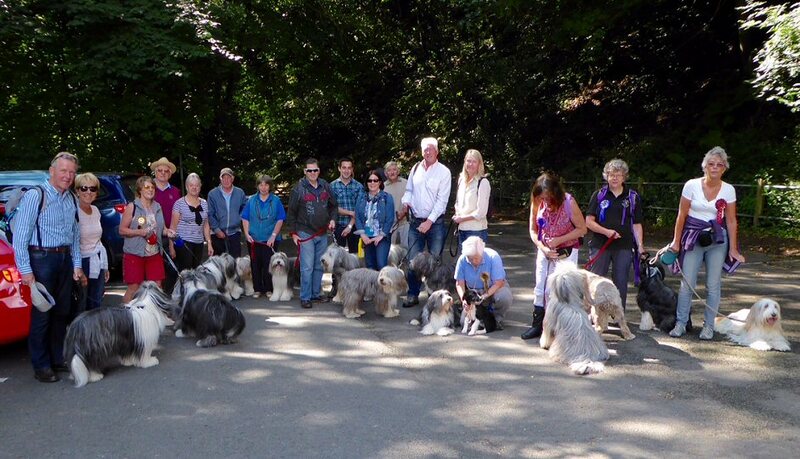 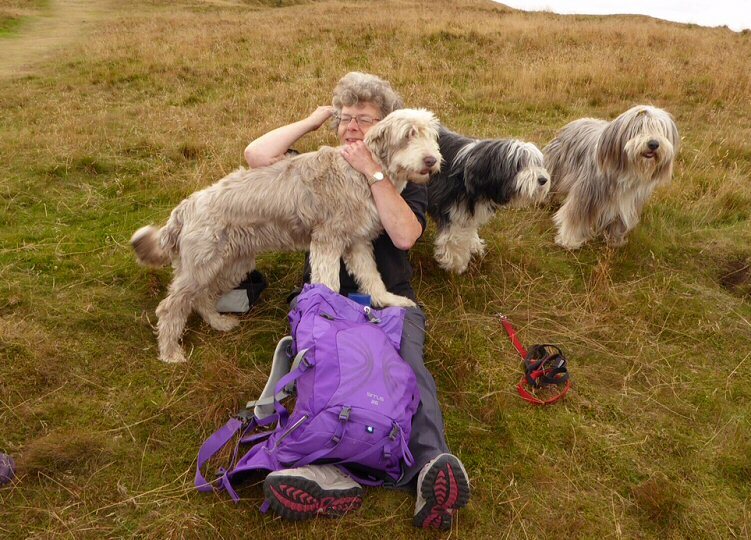 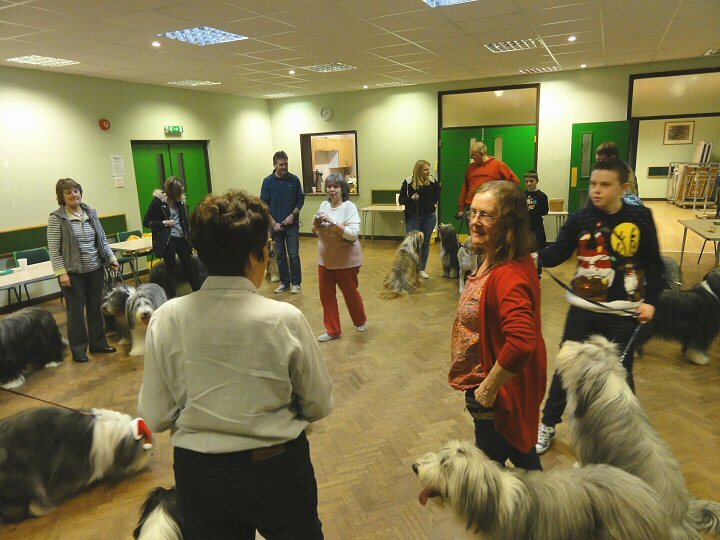 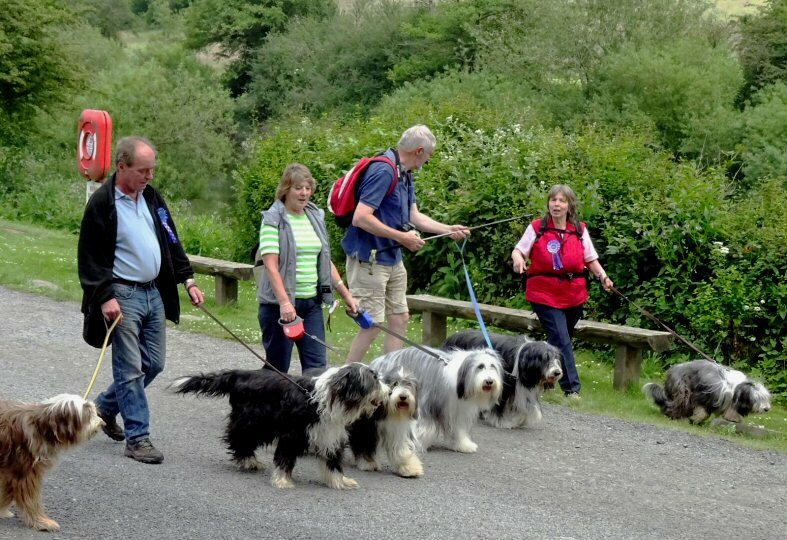 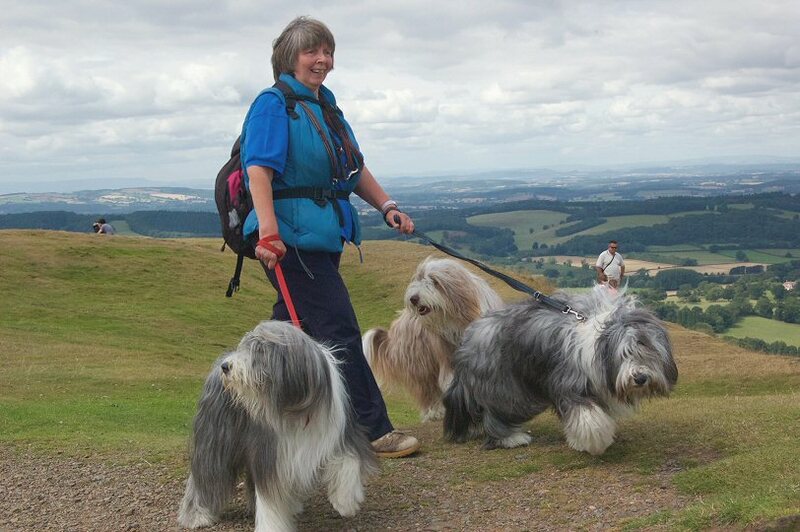 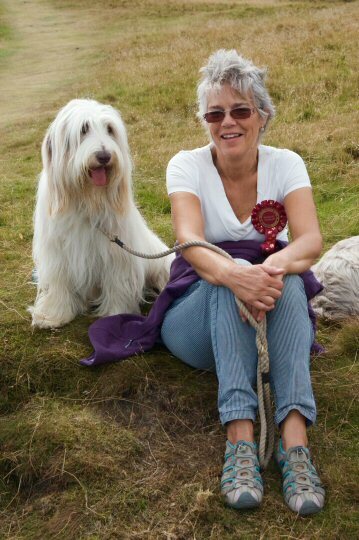 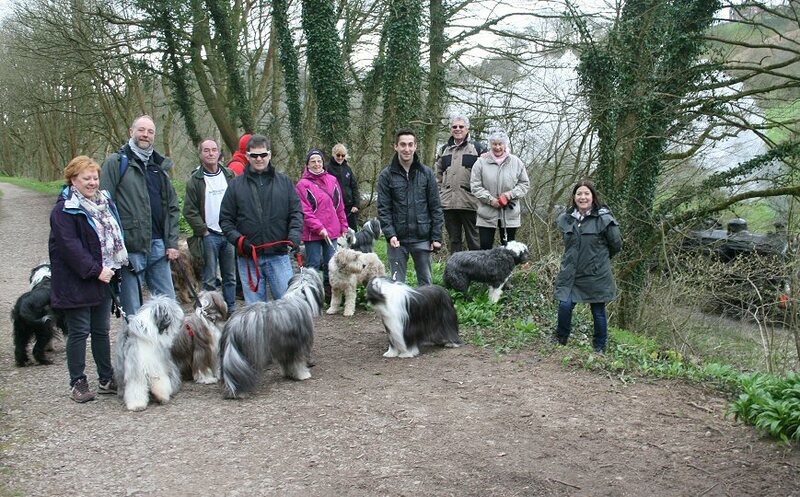 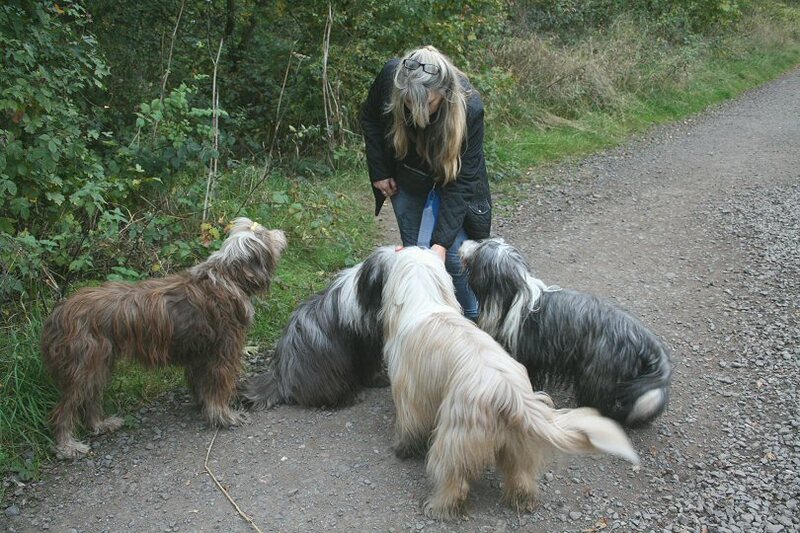 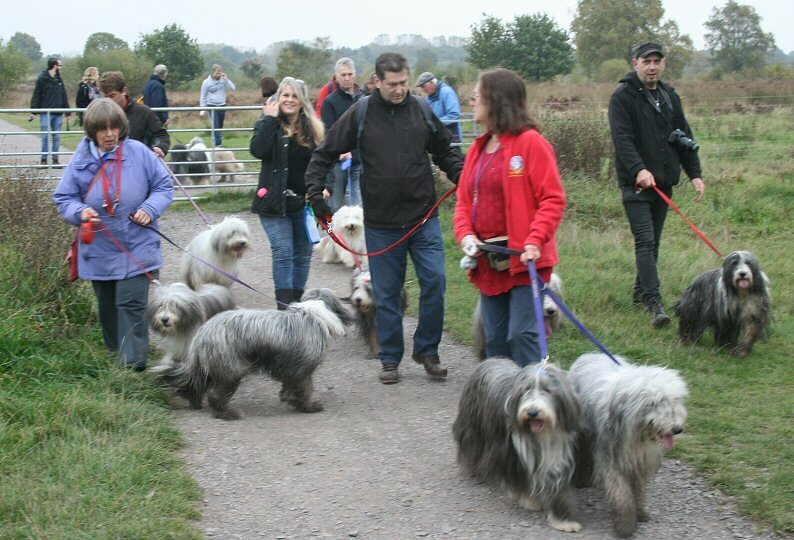 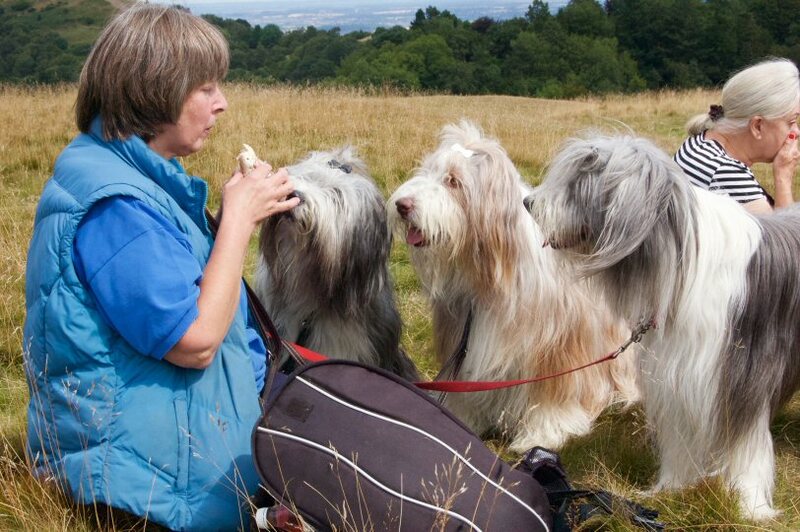 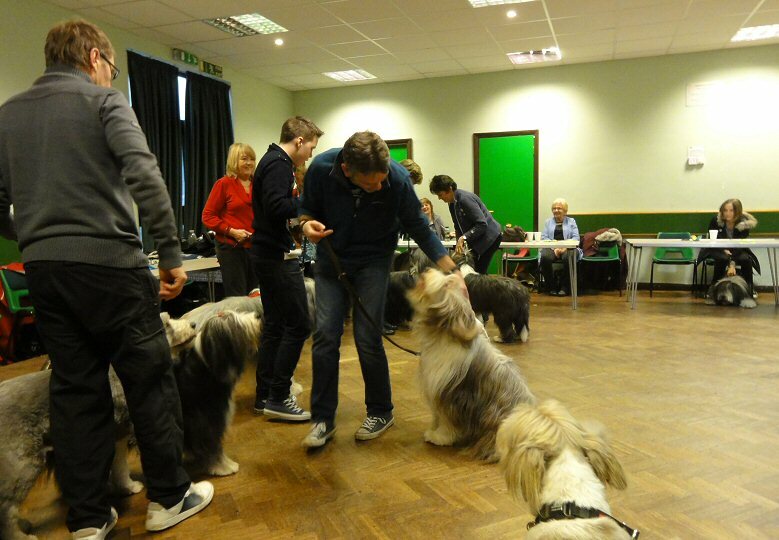 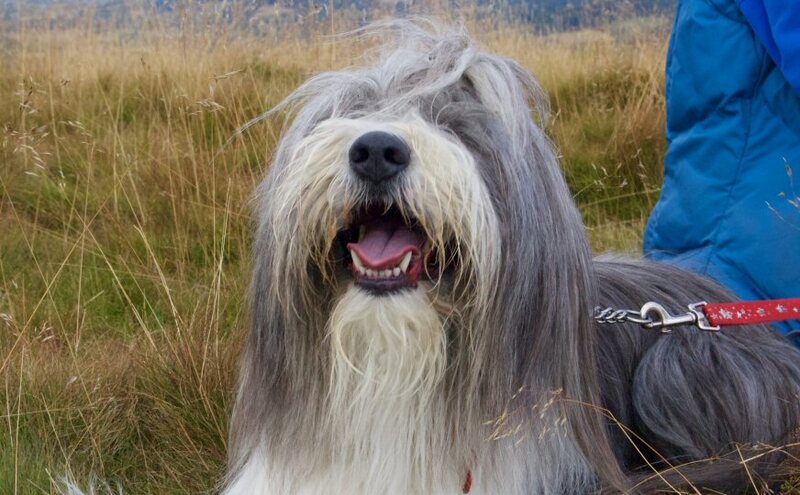 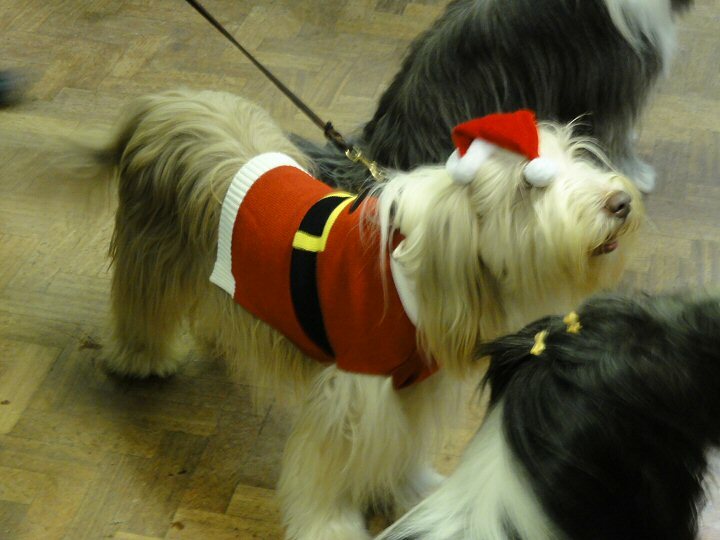 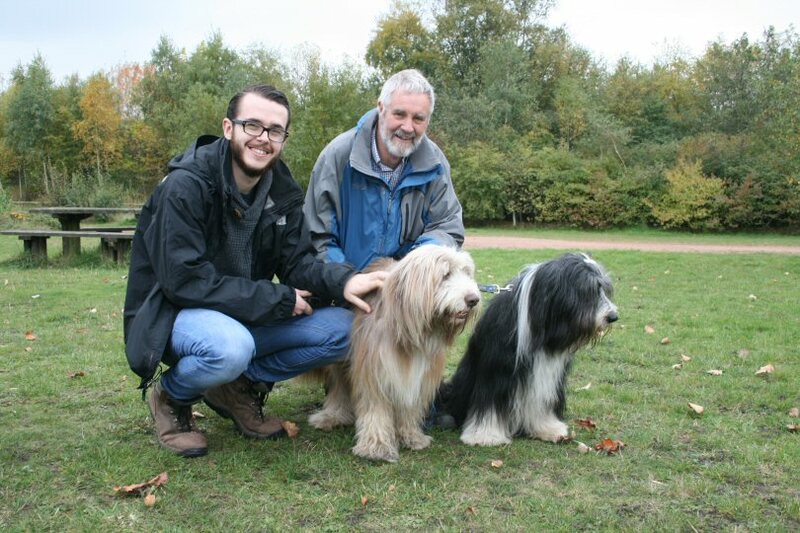 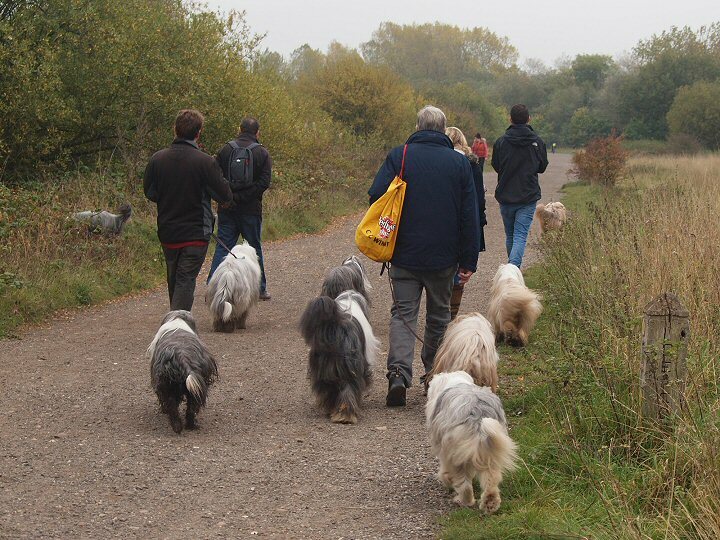 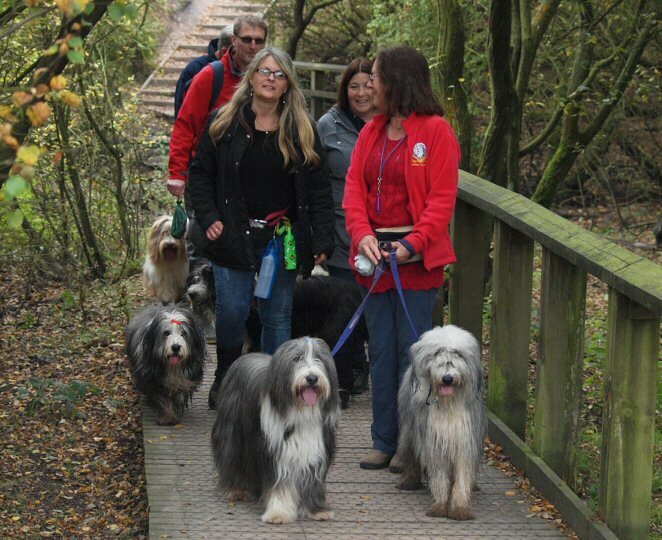 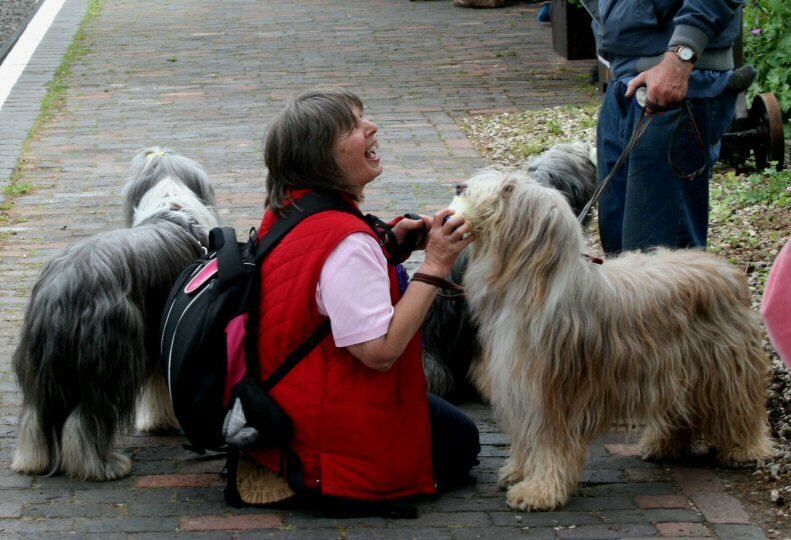 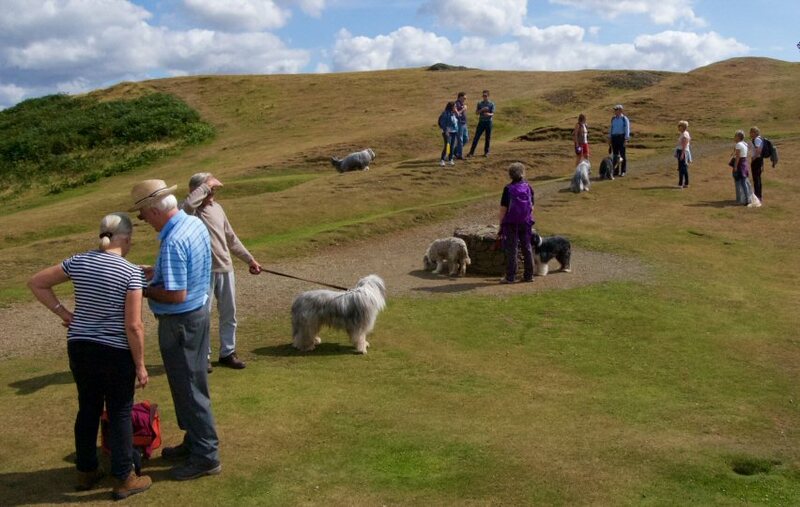 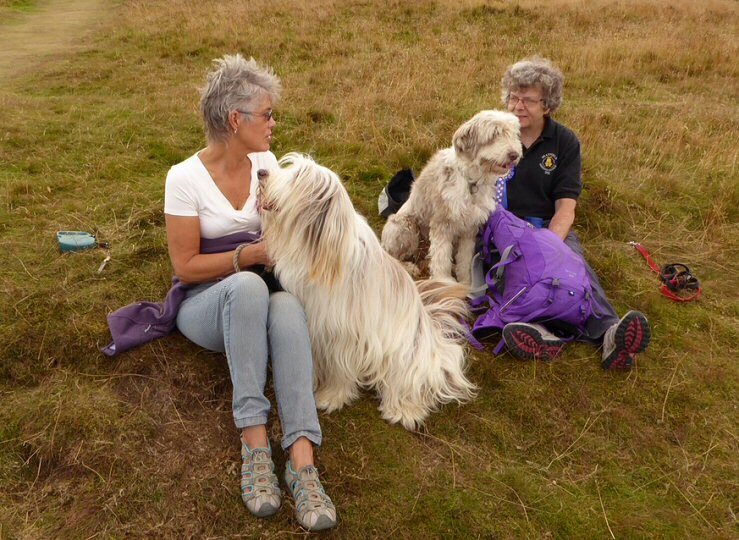 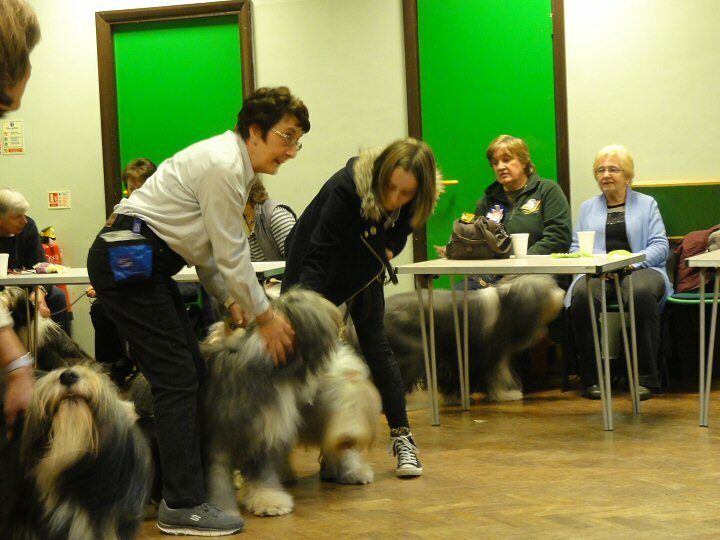 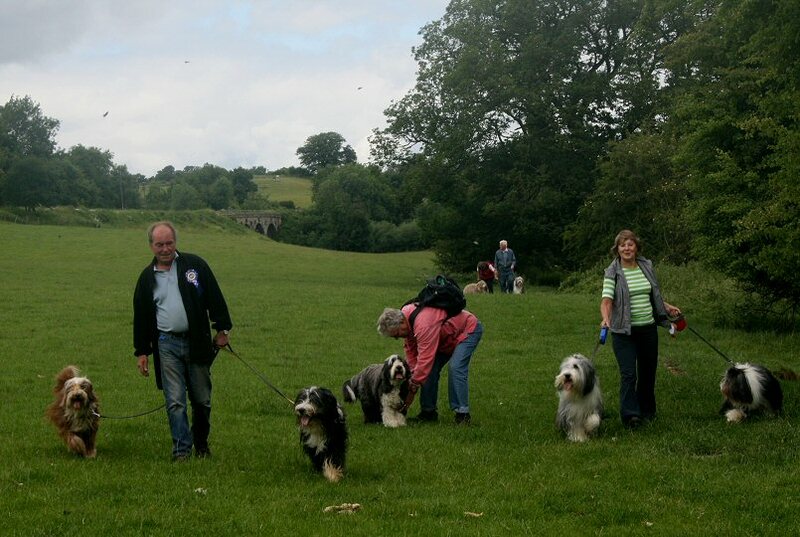 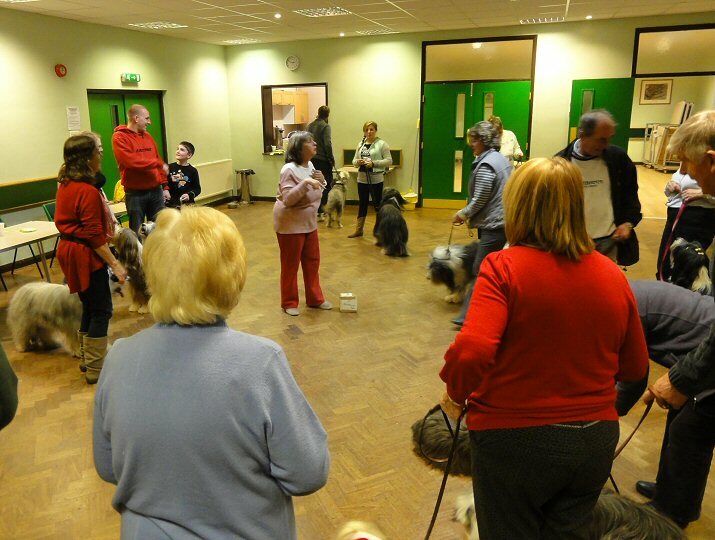 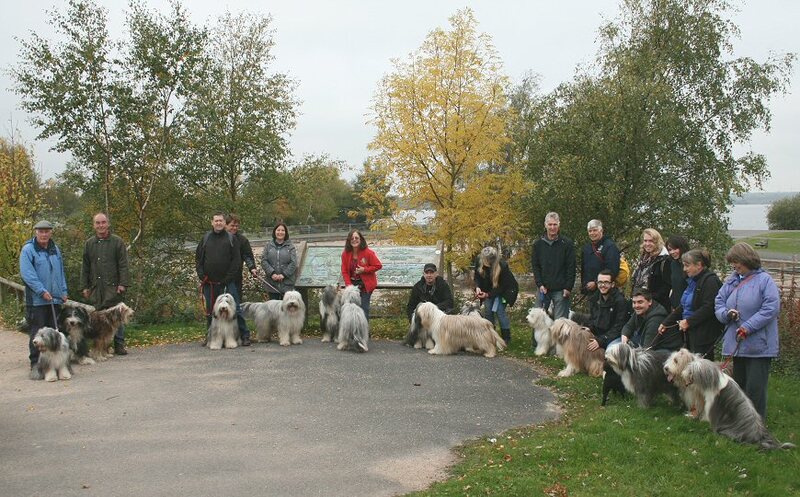 This was a very special gathering of members and their Beardies in this the Diamond Jubilee year of the Bearded Collie Club. 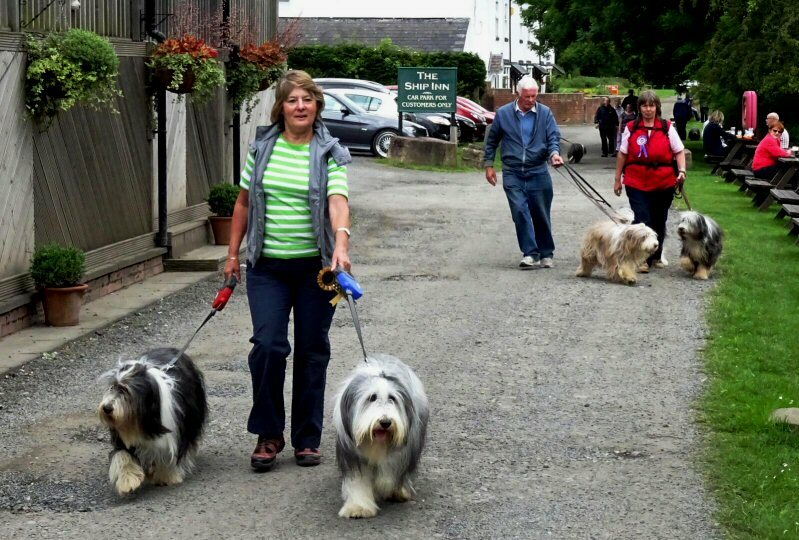 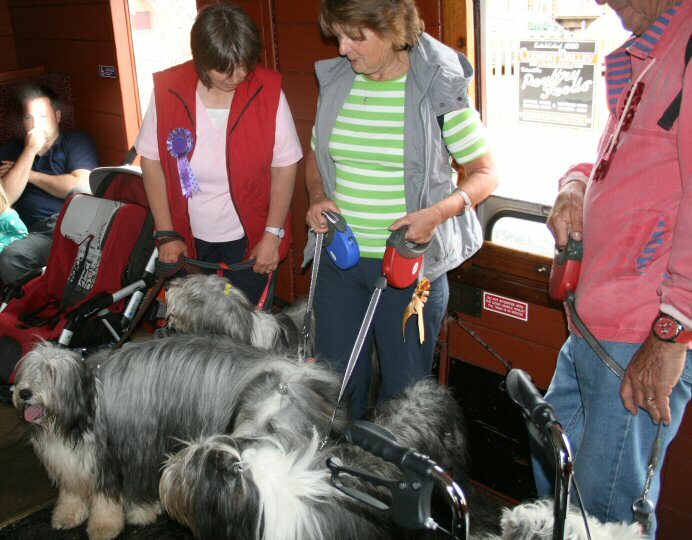 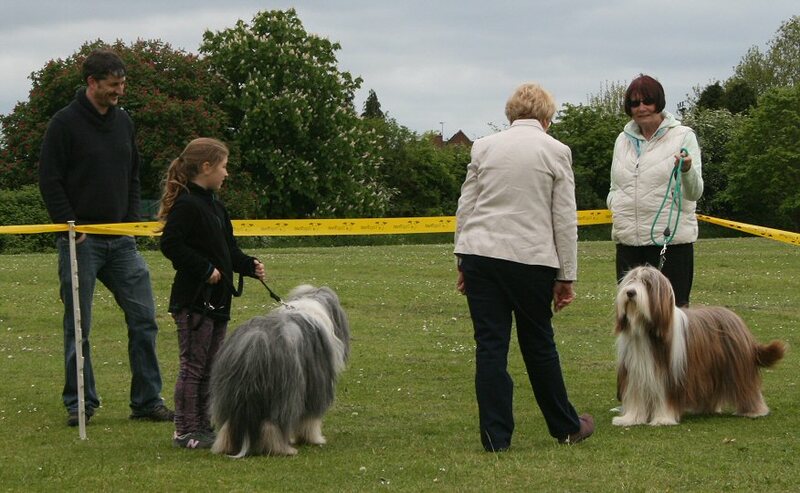 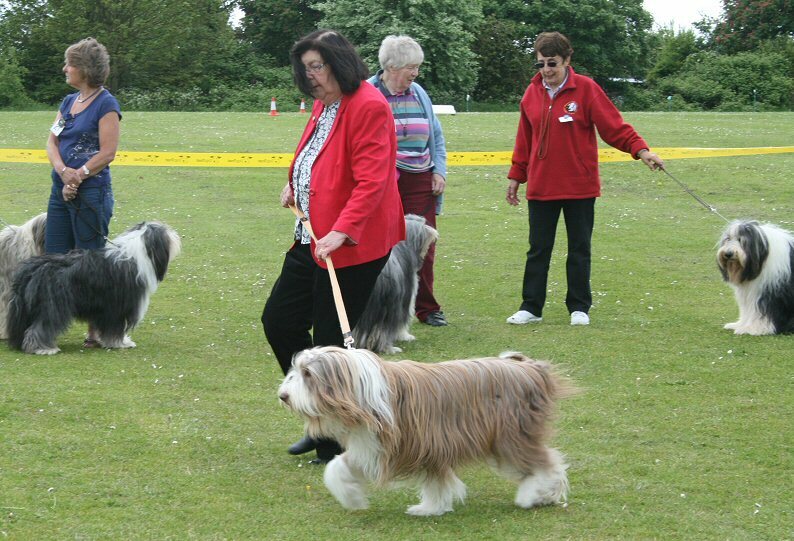 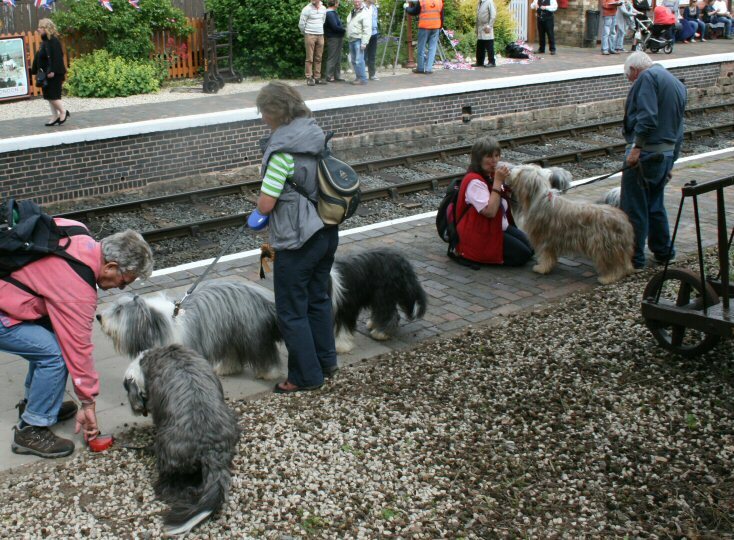 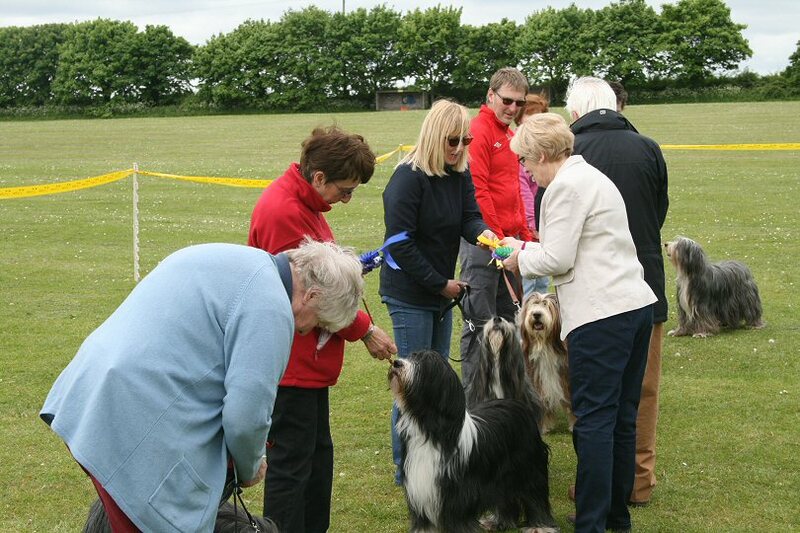 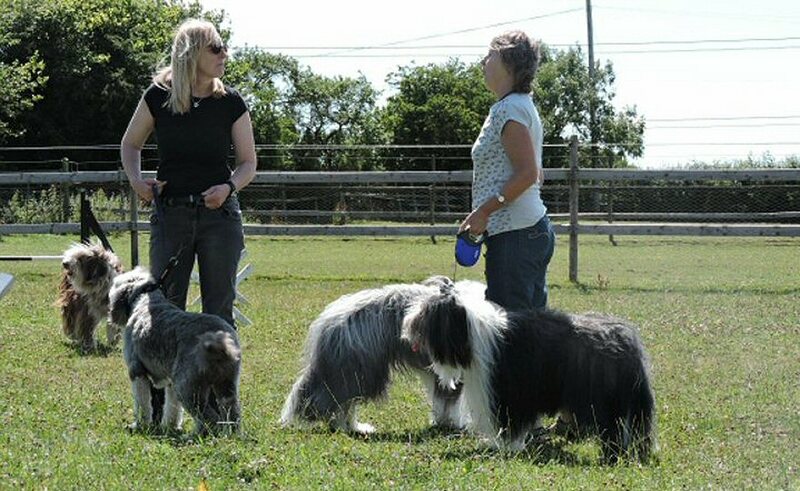 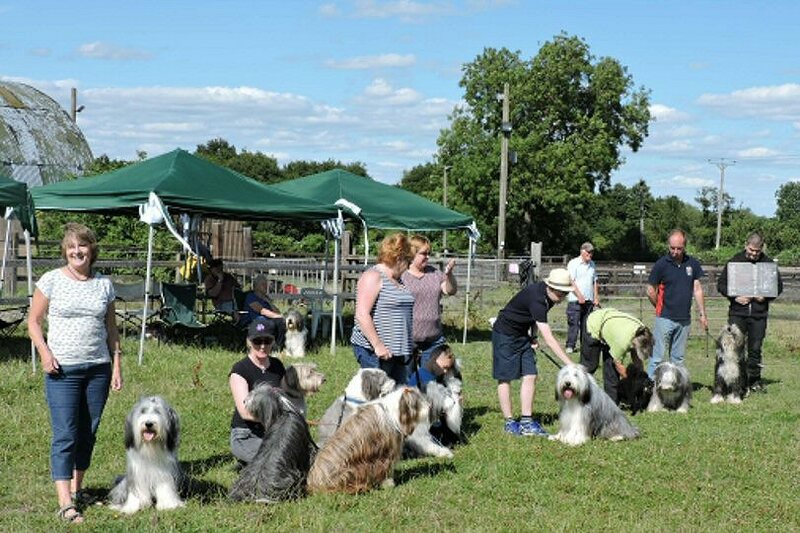 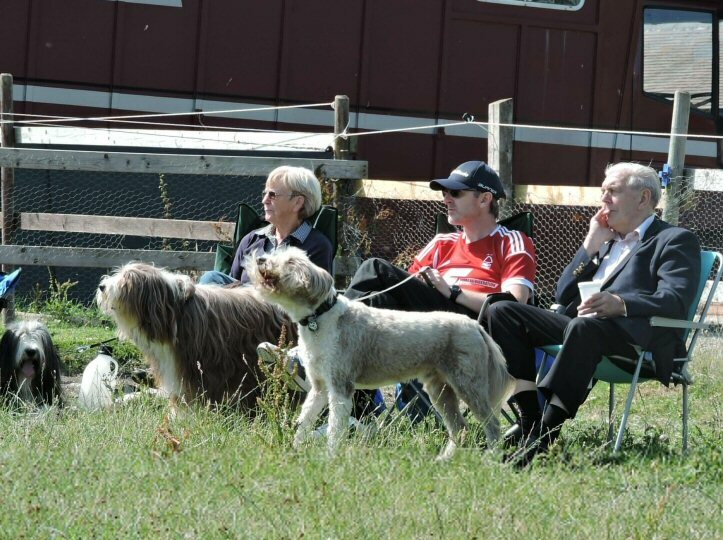 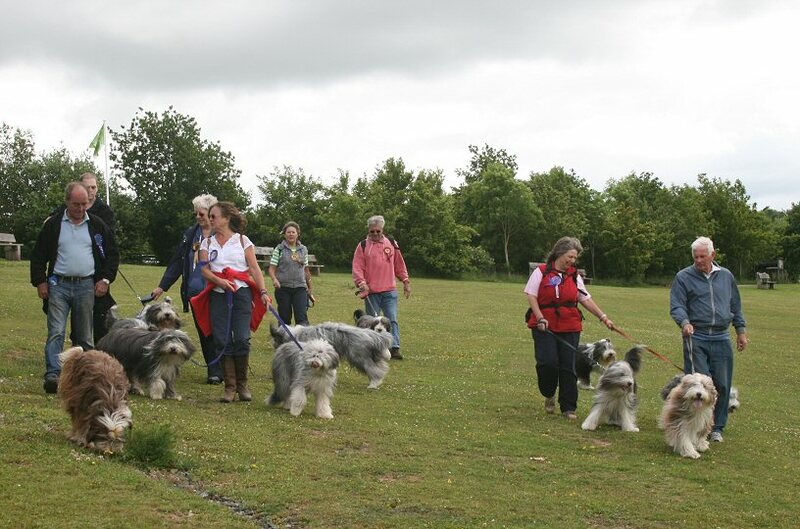 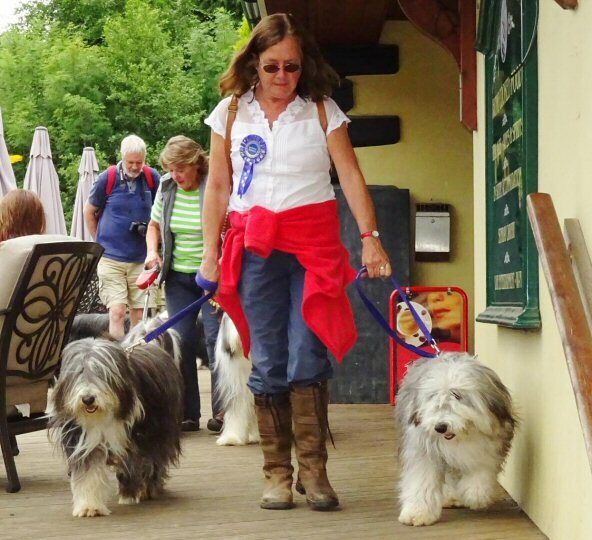 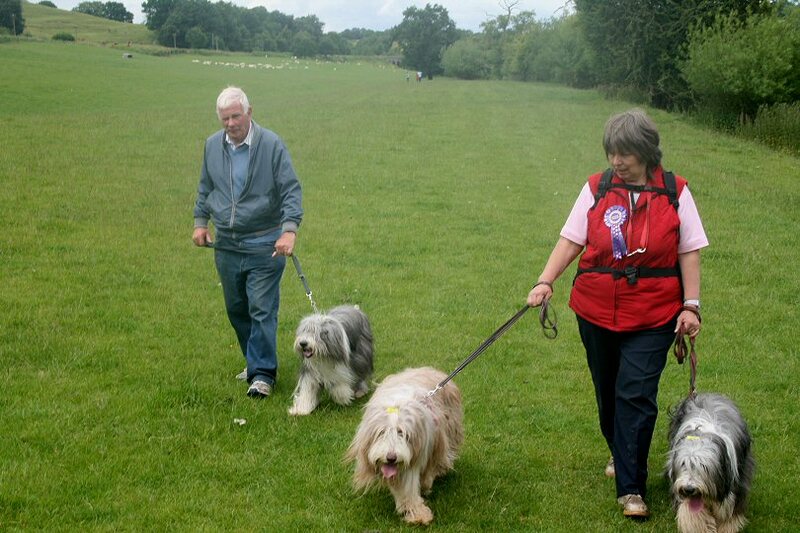 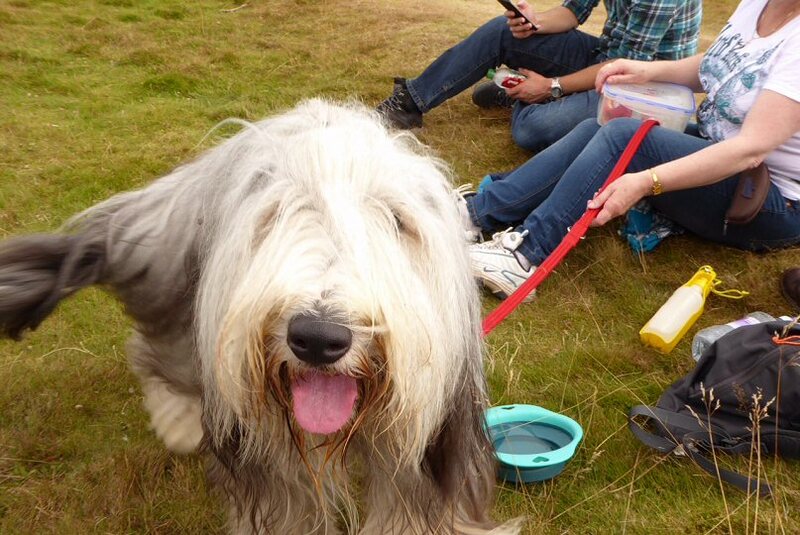 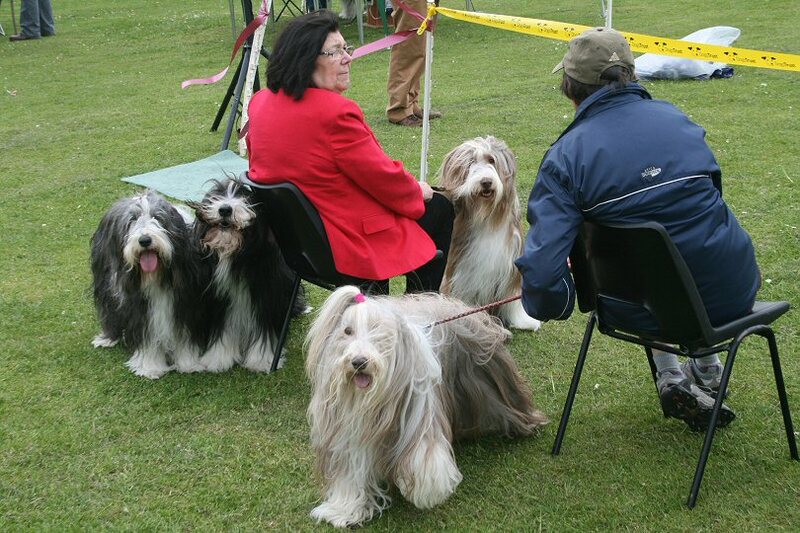 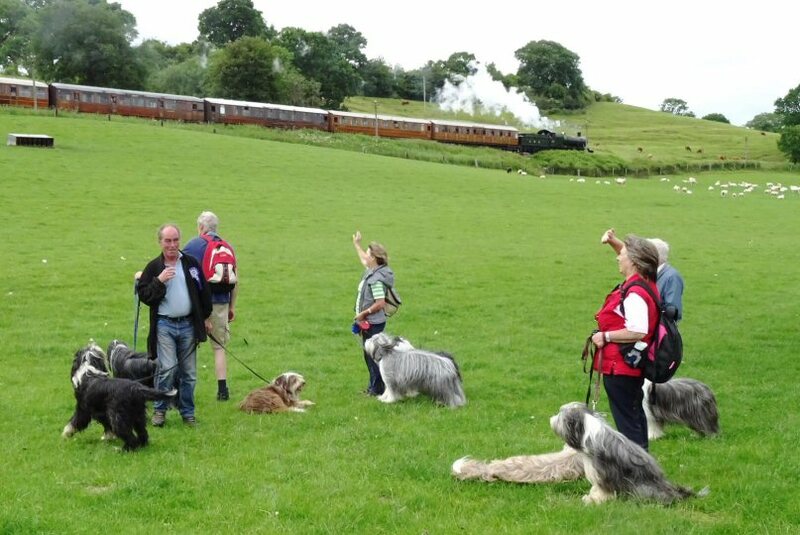 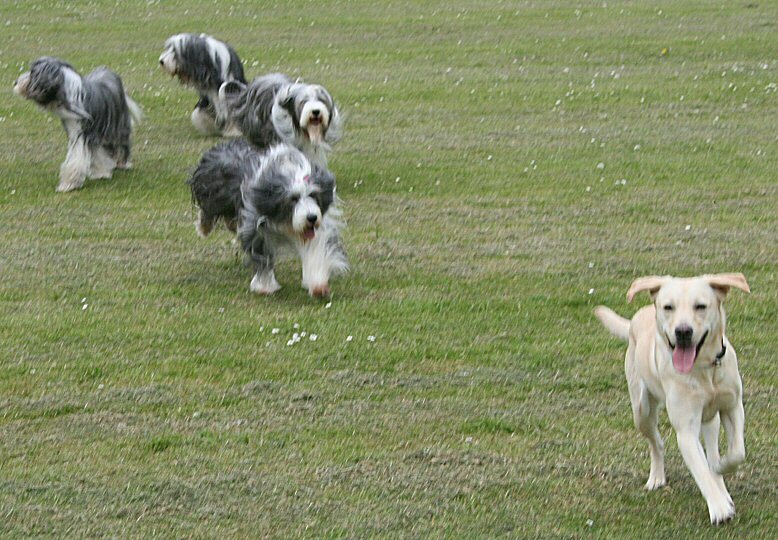 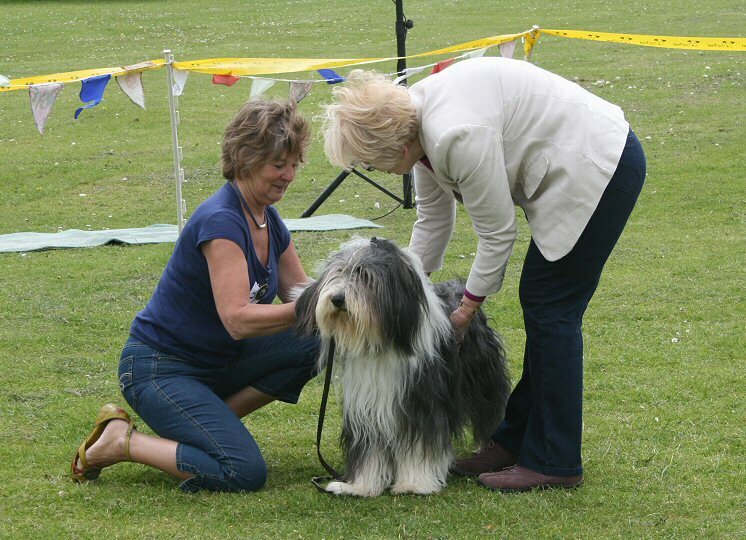 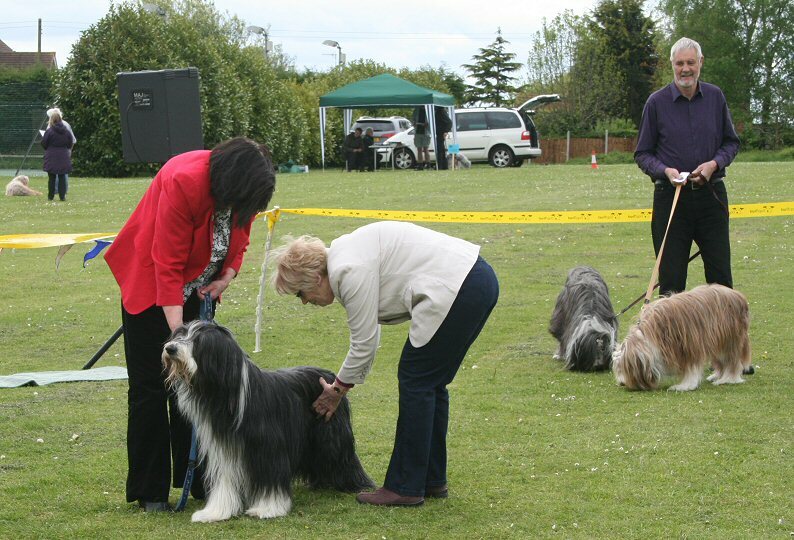 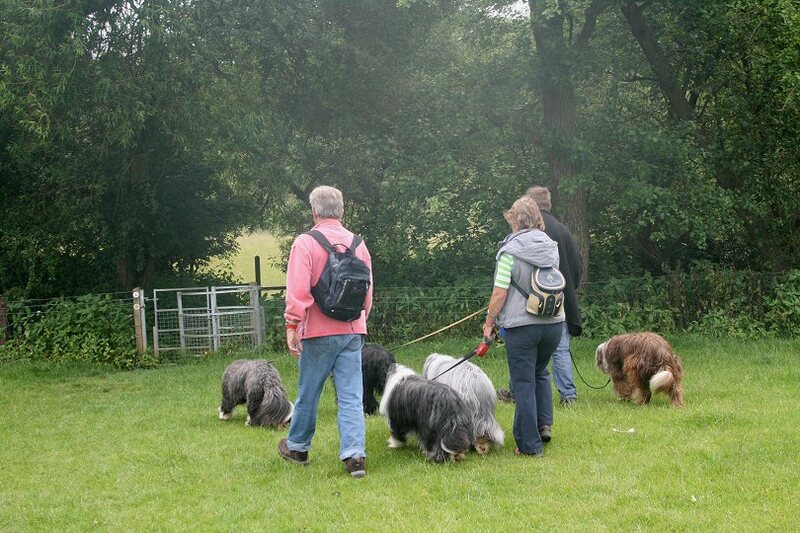 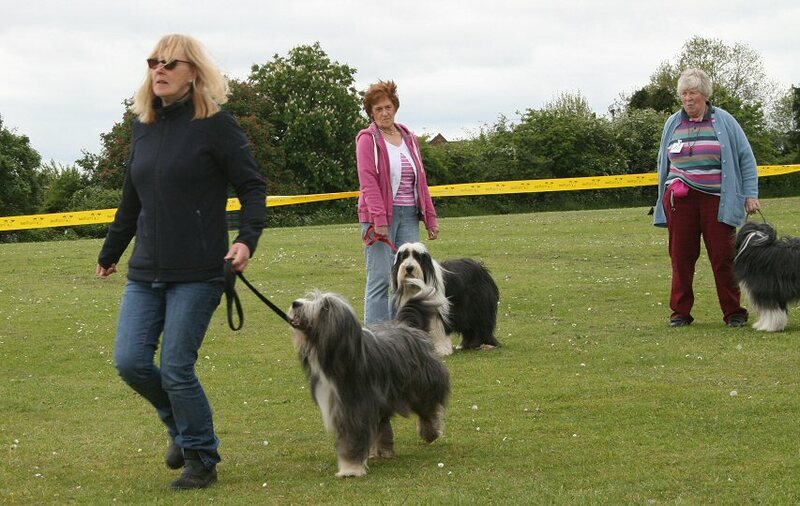 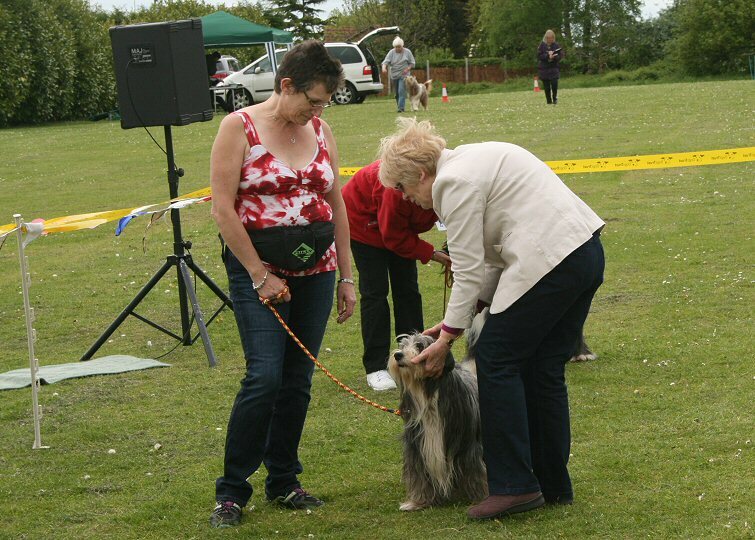 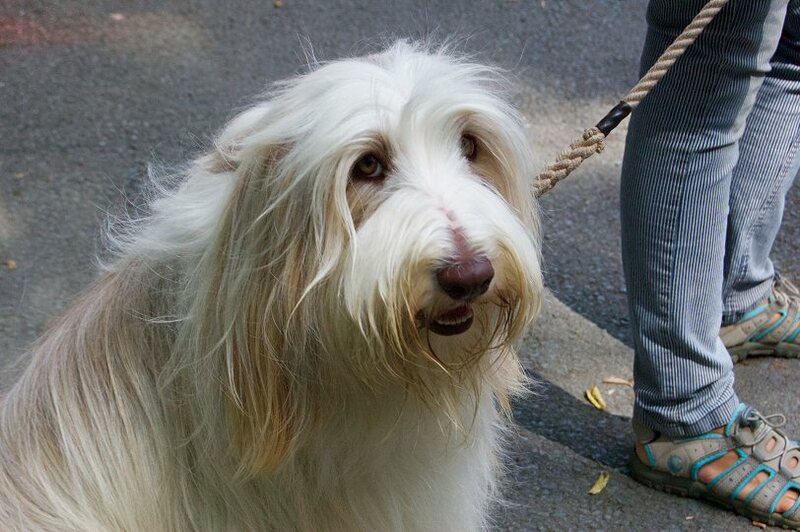 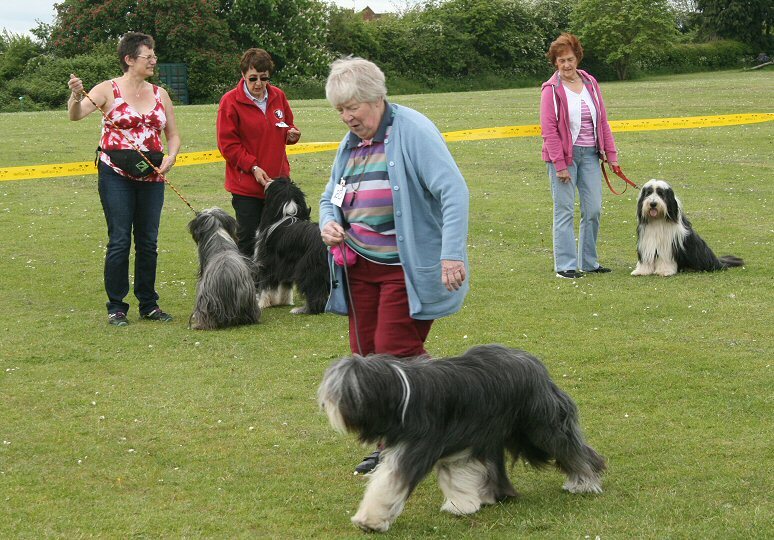 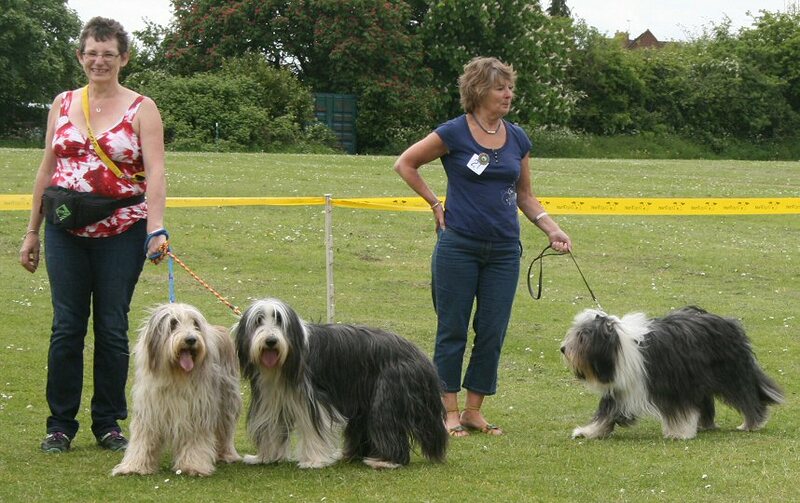 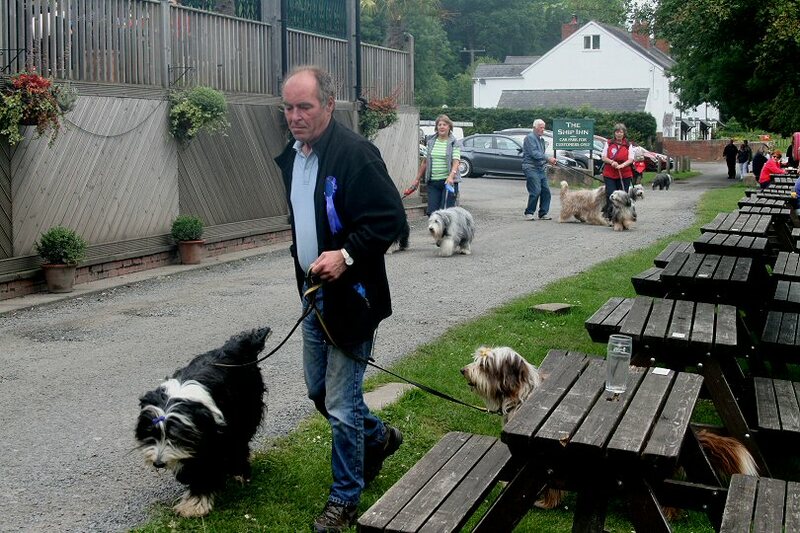 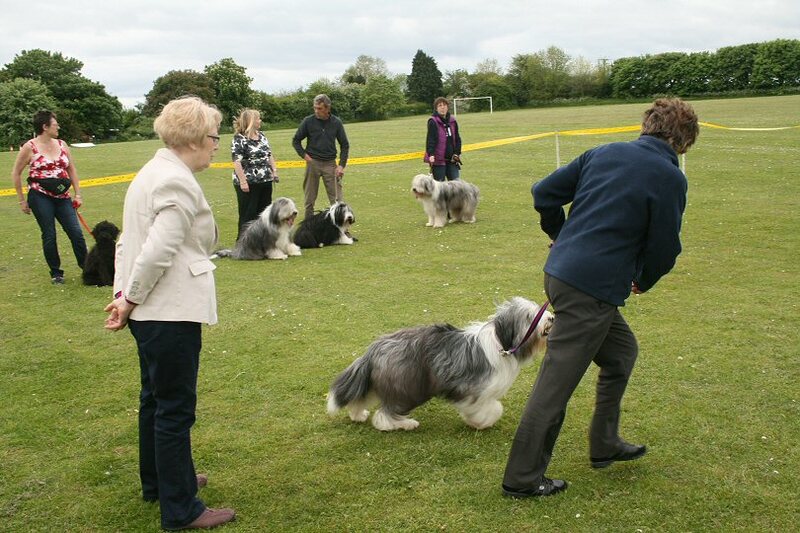 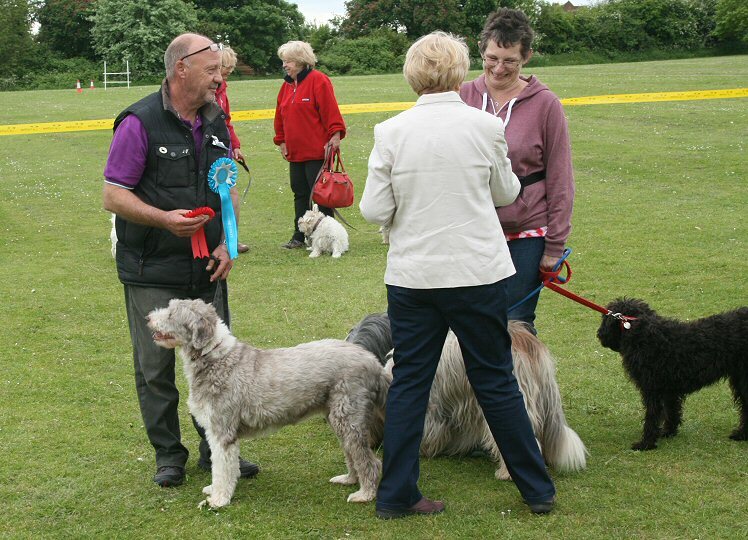 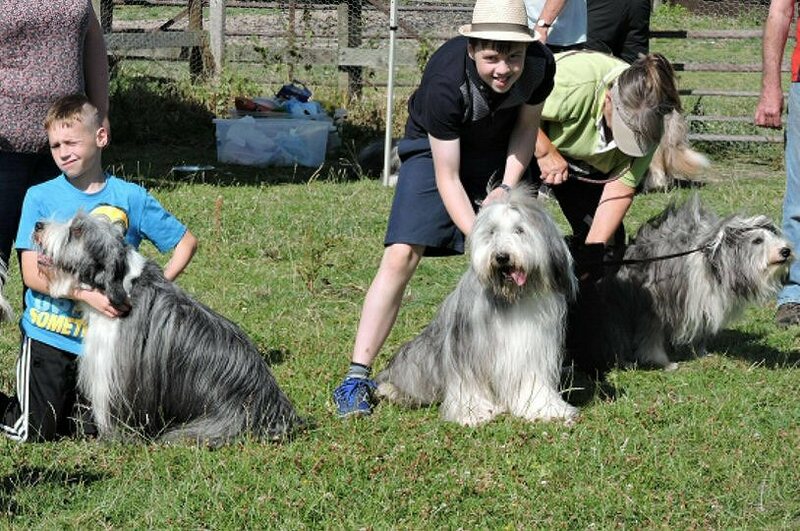 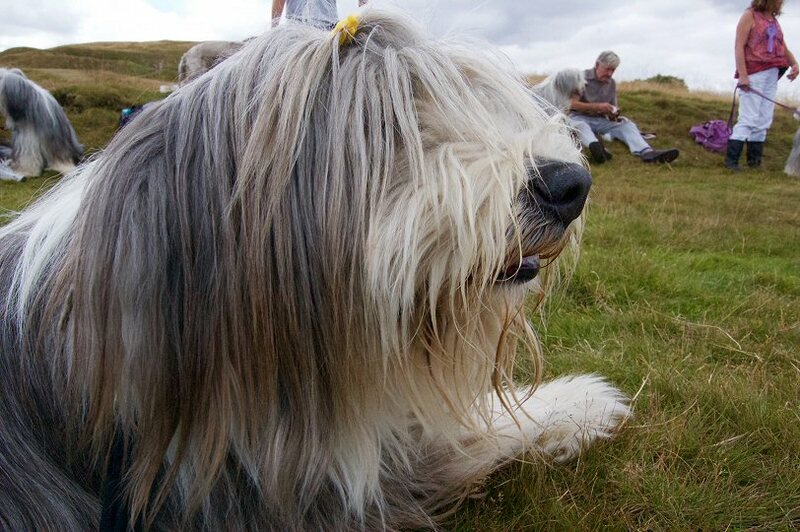 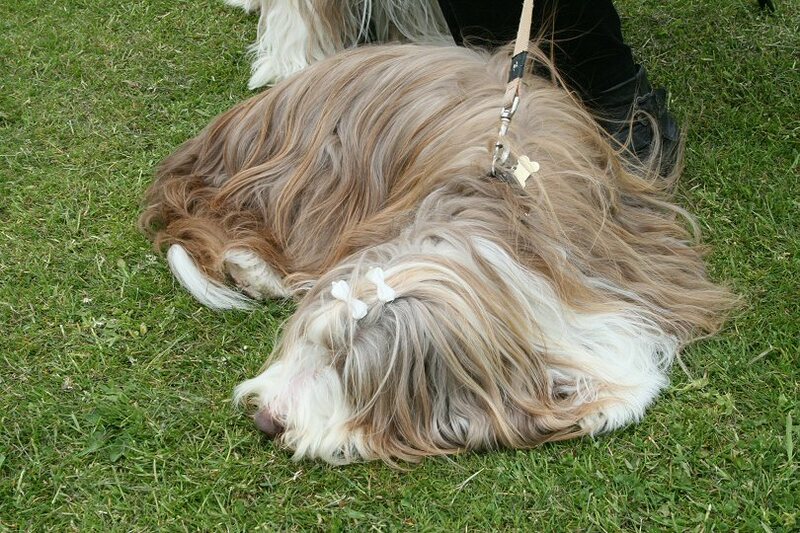 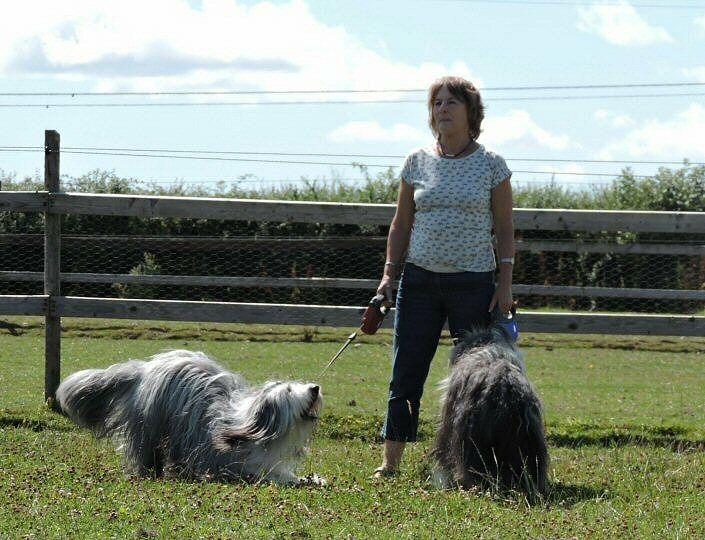 The Annual Fun Day was held as usual at Inkberrow and included parades of Champion, Veteran, Vintage and Rescue Beardies. 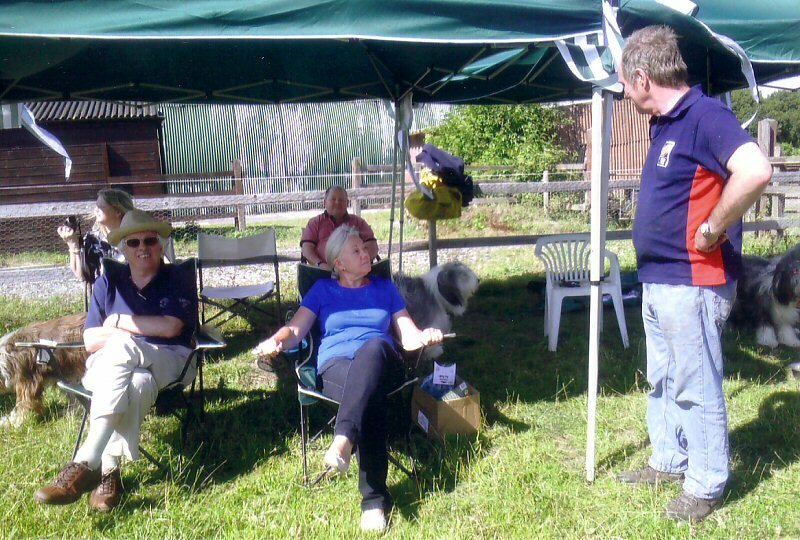 The event was very well organised by the Branch Committee who certainly deserved the thanks and gratitude of all who attended. 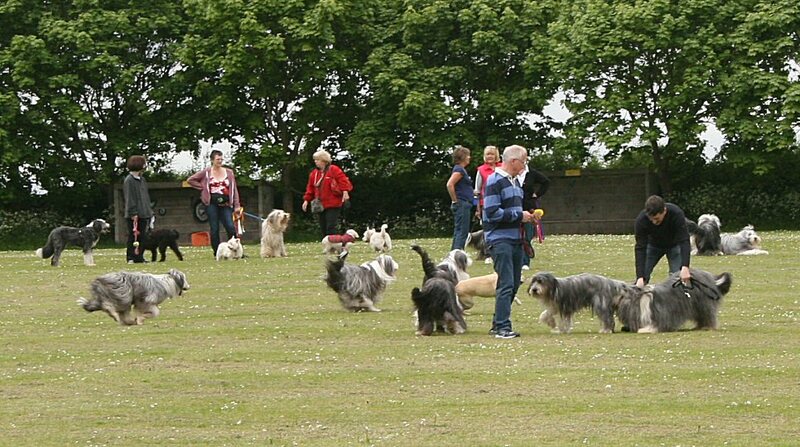 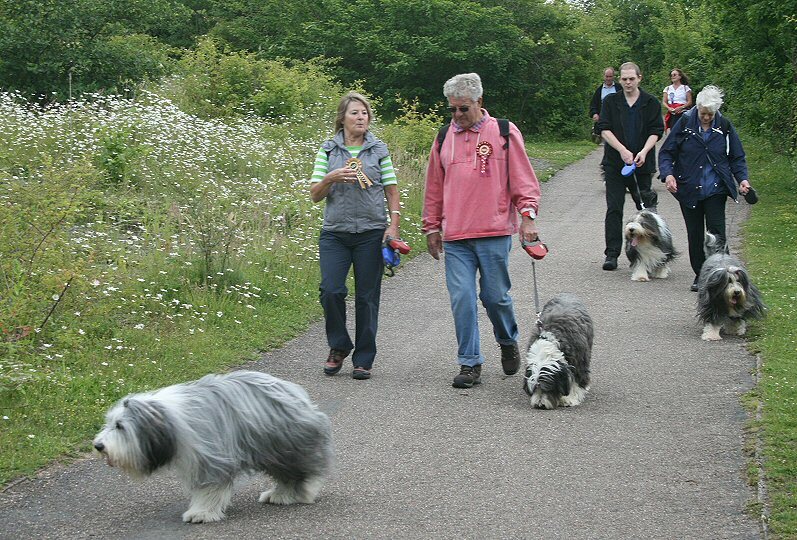 There was a disappointingly low turnout of members at this event despite the super location and the perfect Beardie walking weather. 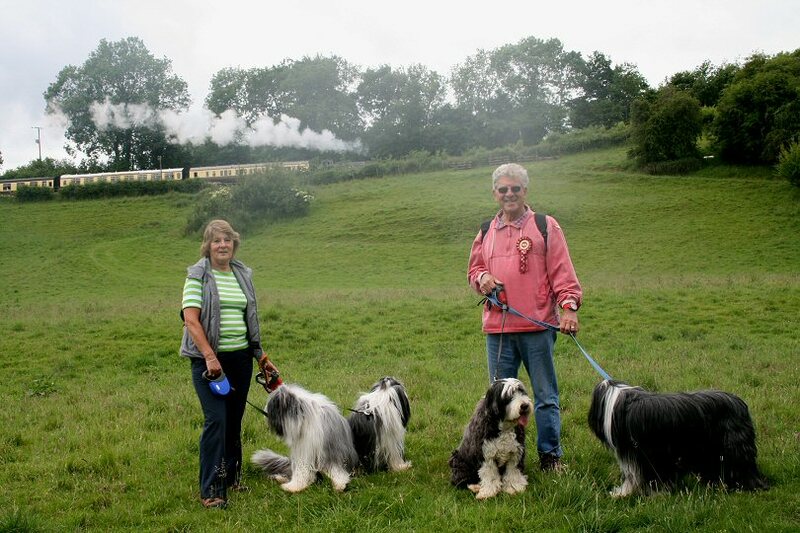 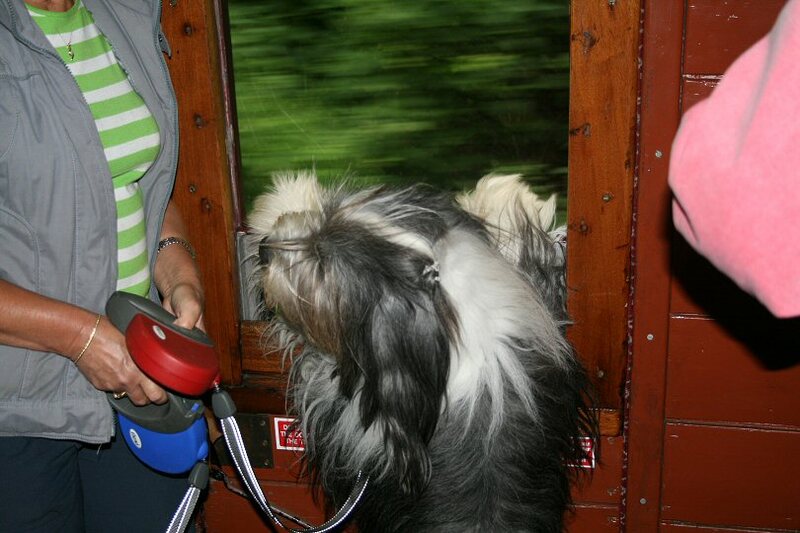 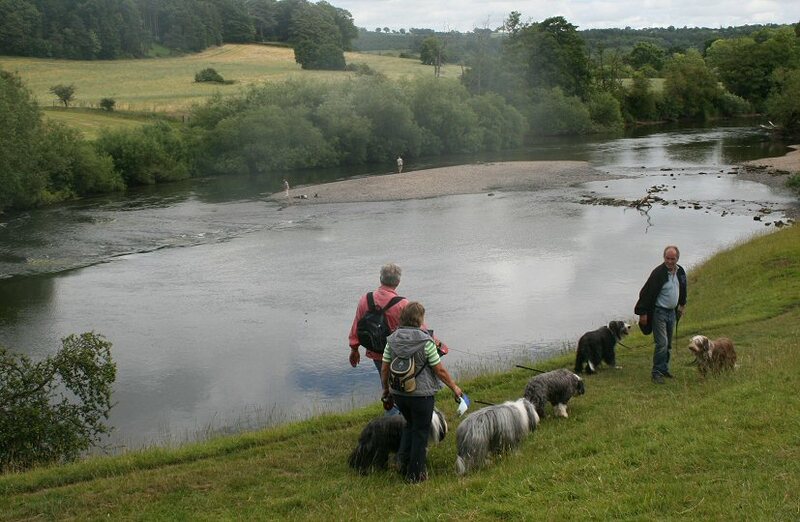 We ambled a four mile stretch of the River Severn south from Alveley Country Park stopping at the Ship Inn Highley for lunch and returned on a steam train from Arley. 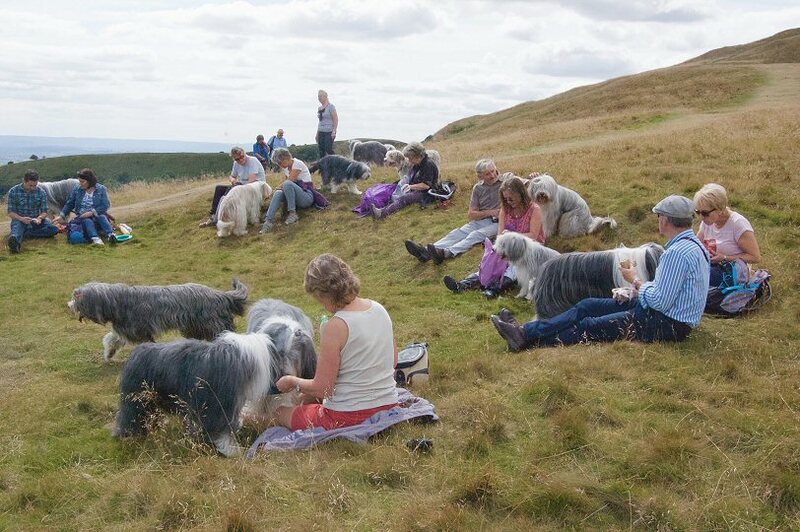 Much enjoyed by the few that went. 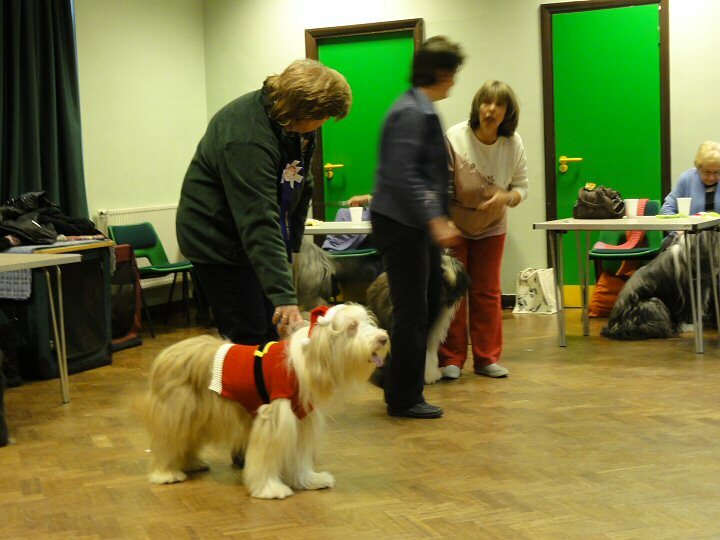 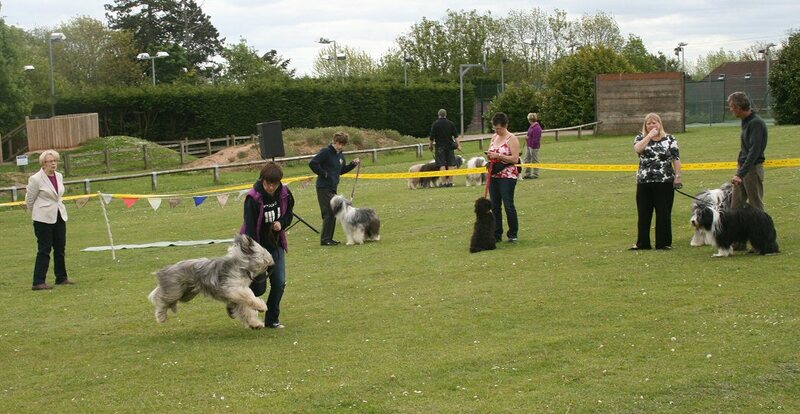 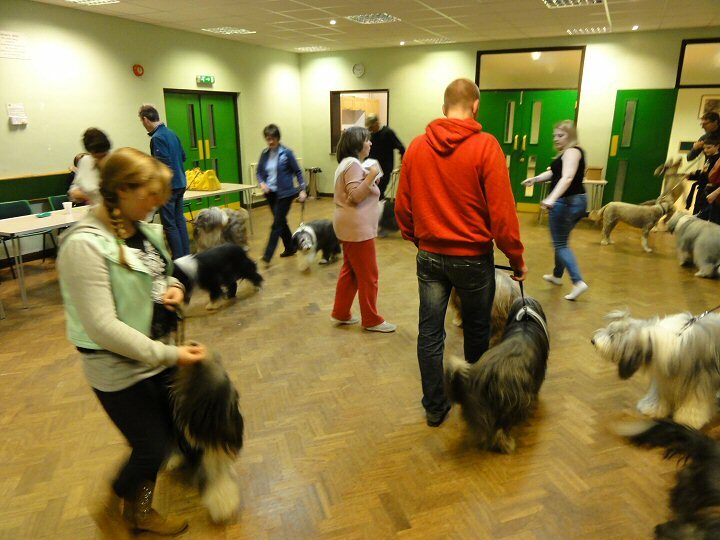 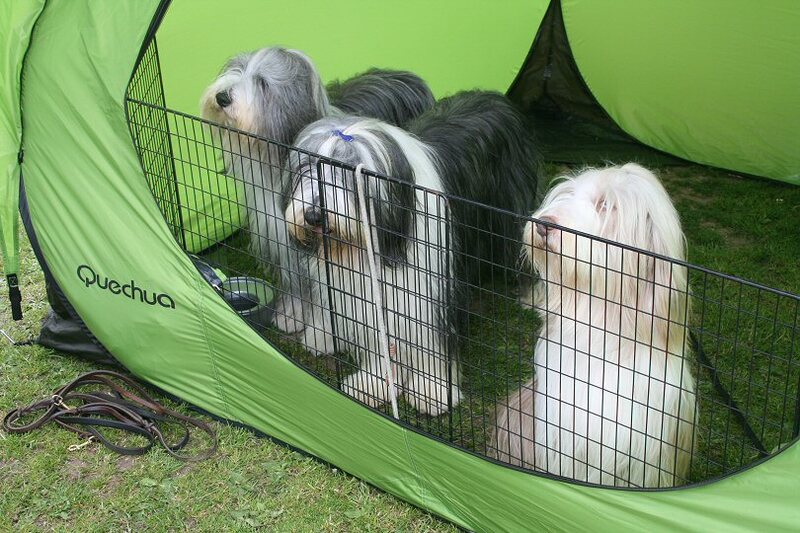 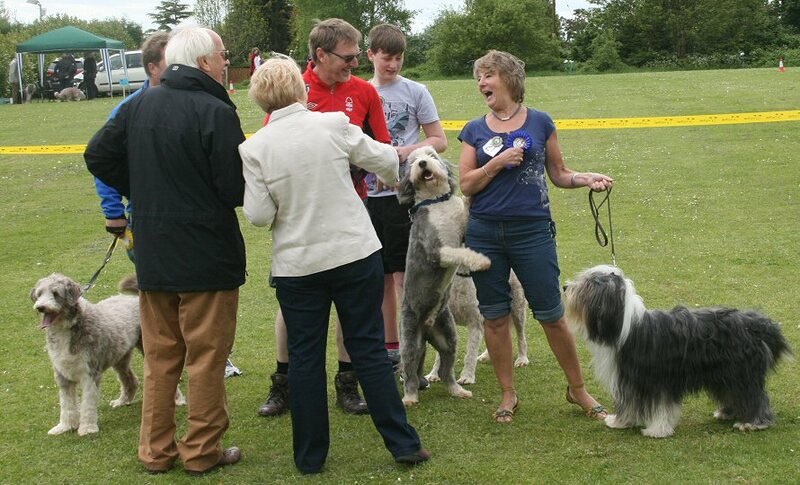 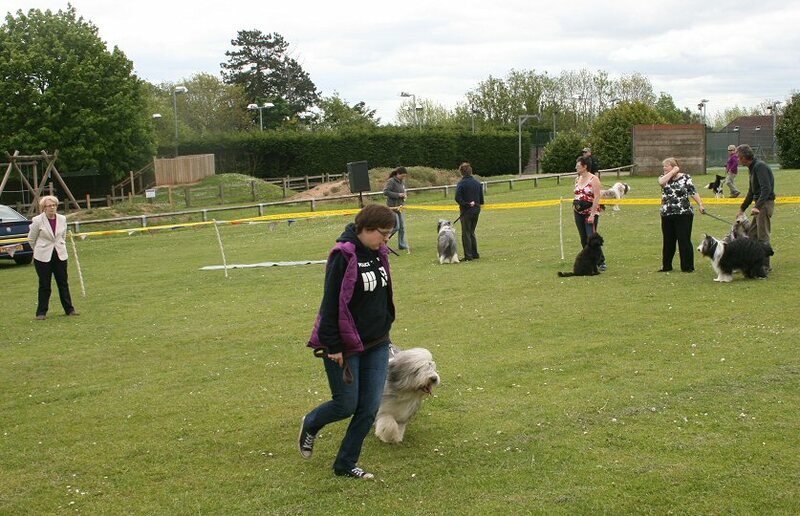 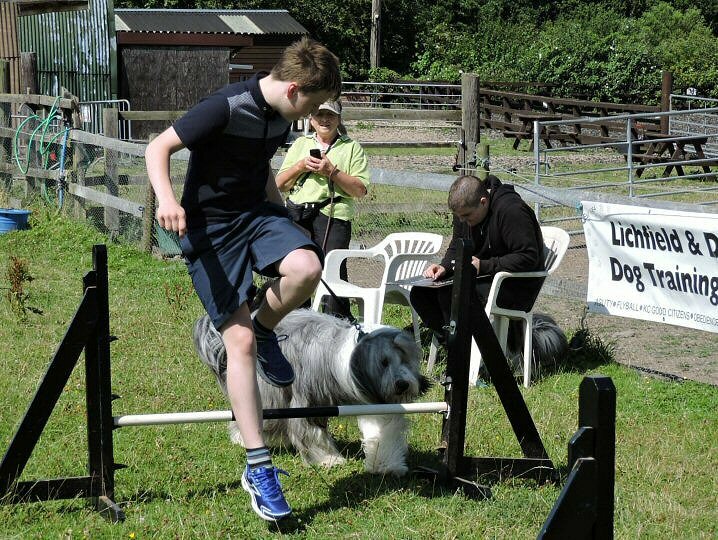 The Beardie Bounce this year was staged at a new venue for the Branch - namely the Middleton Equestrian Centre. 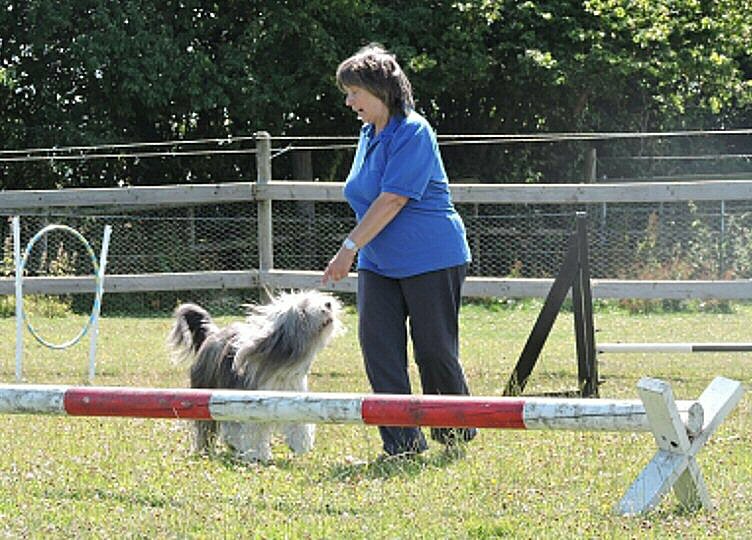 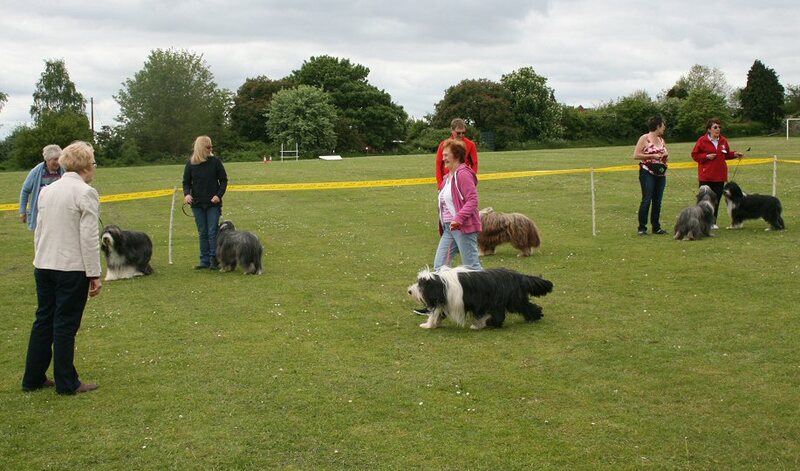 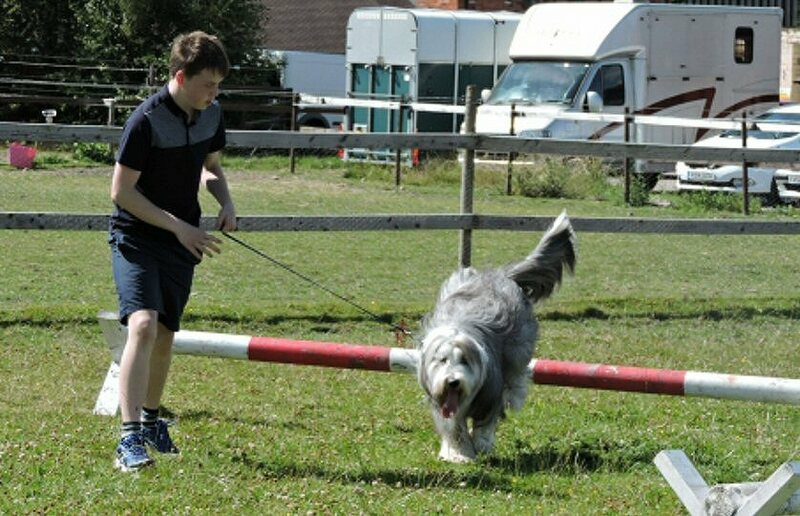 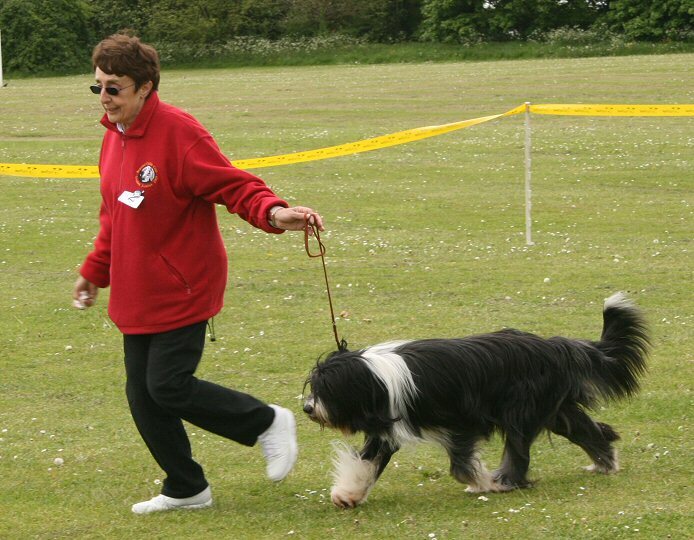 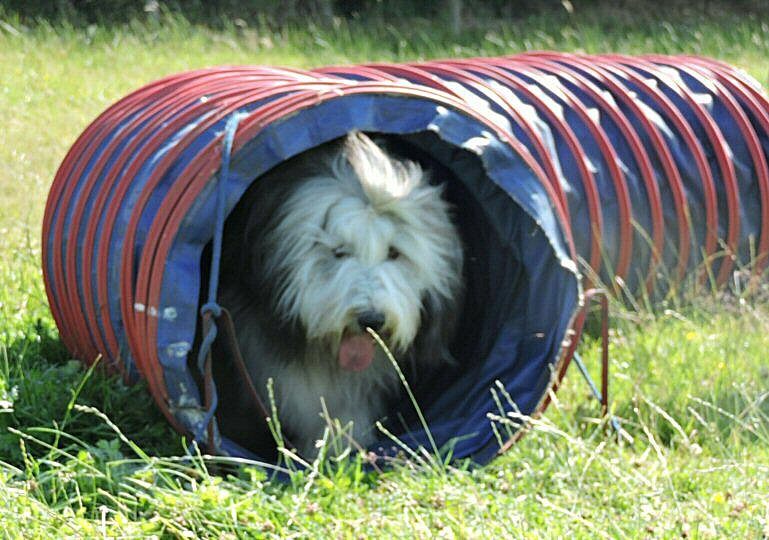 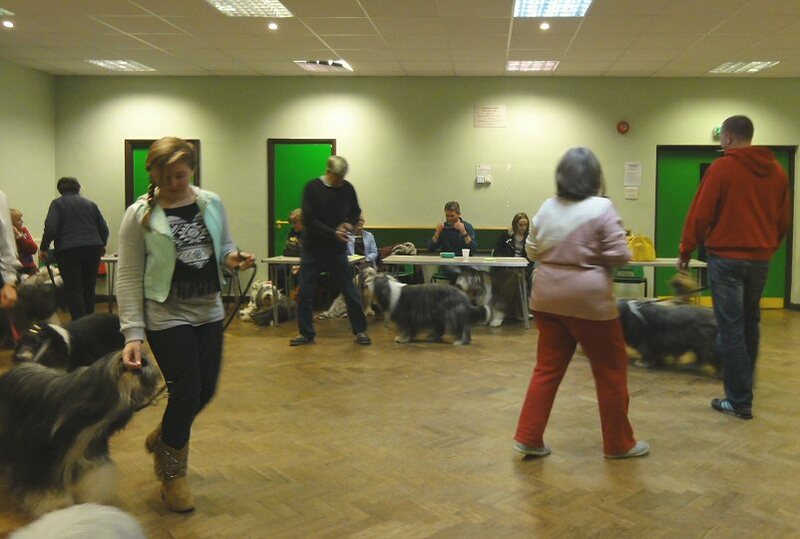 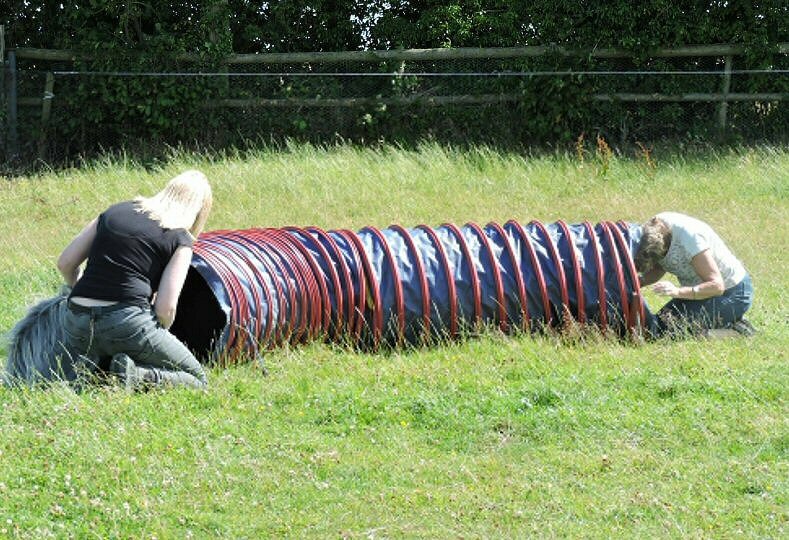 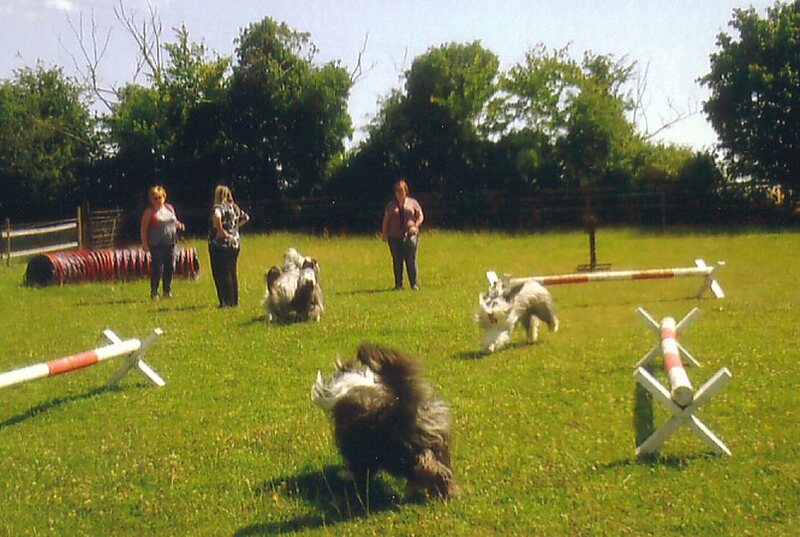 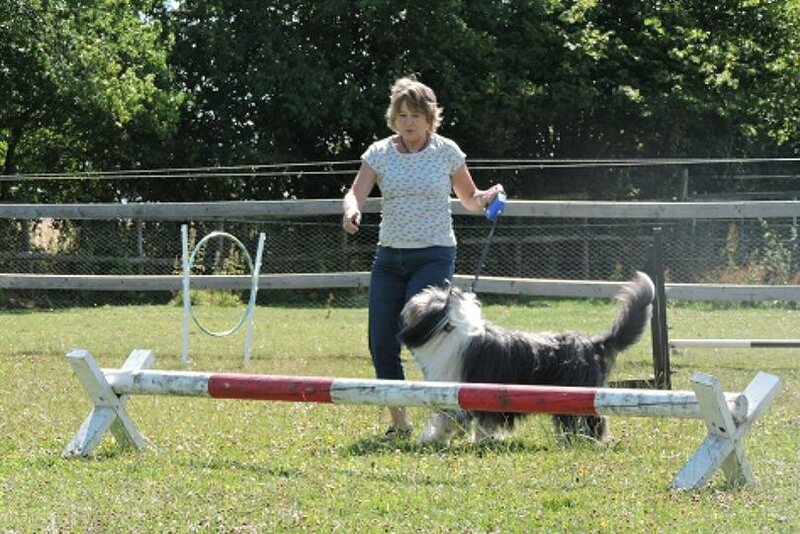 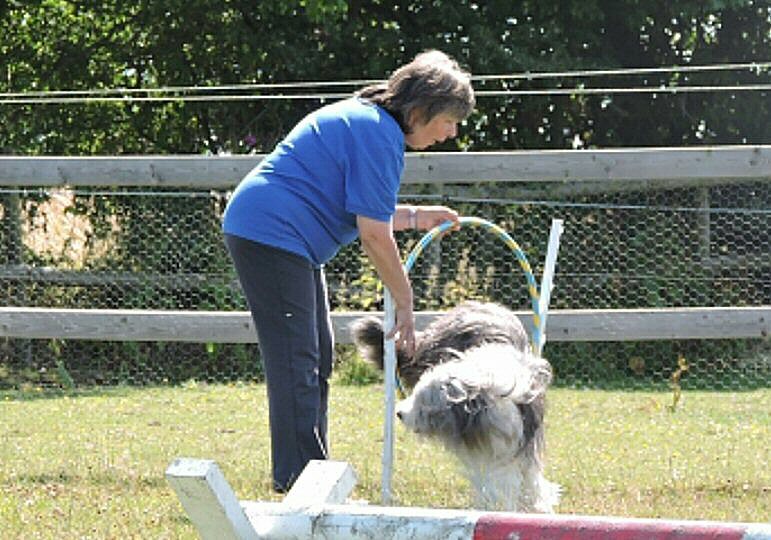 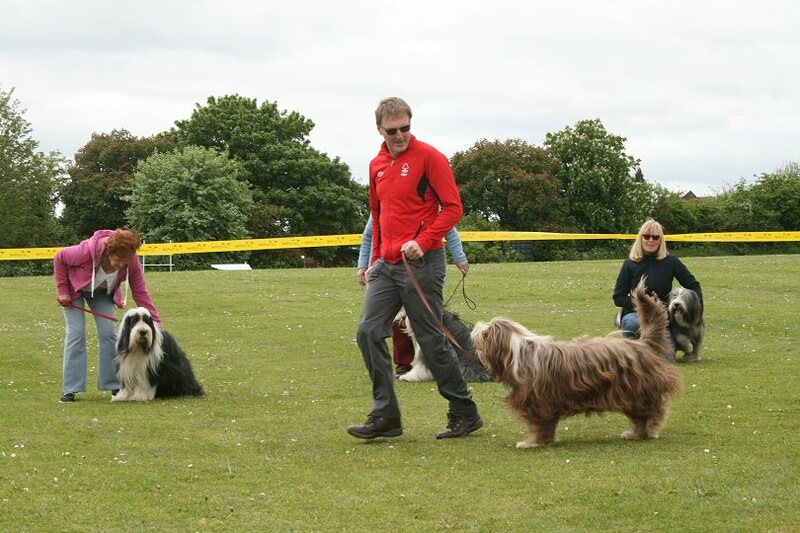 In addition to the usual fun and games and strawberry cream tea, this year fun agility was introduced and enjoyed by all who took part. 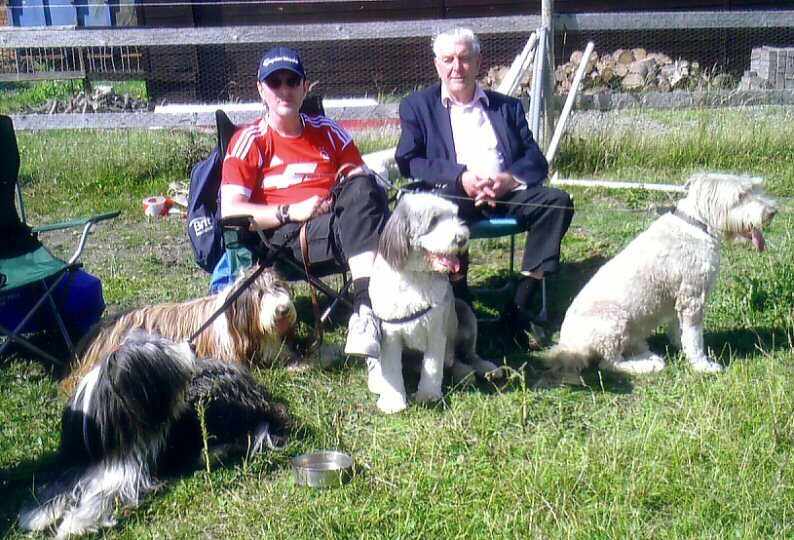 The weather on the day was kind with warm sun under which to relax. 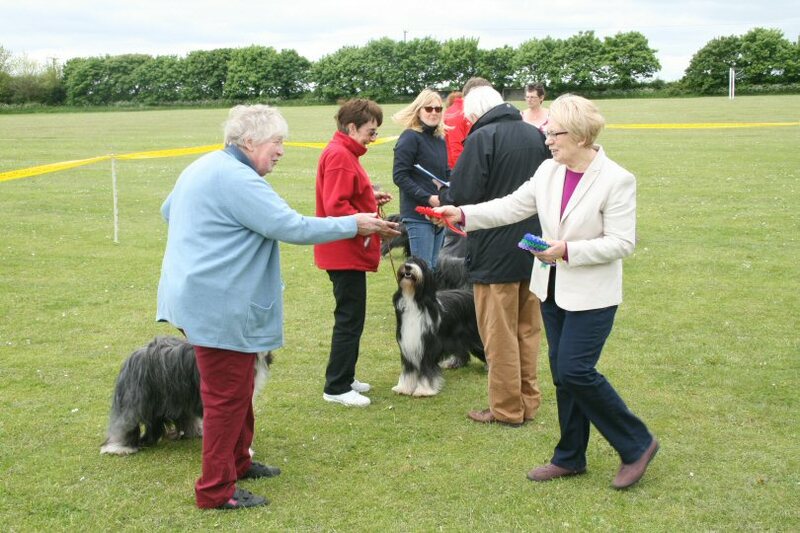 Our grateful thanks to Sue Hopkins for supplying the photos. 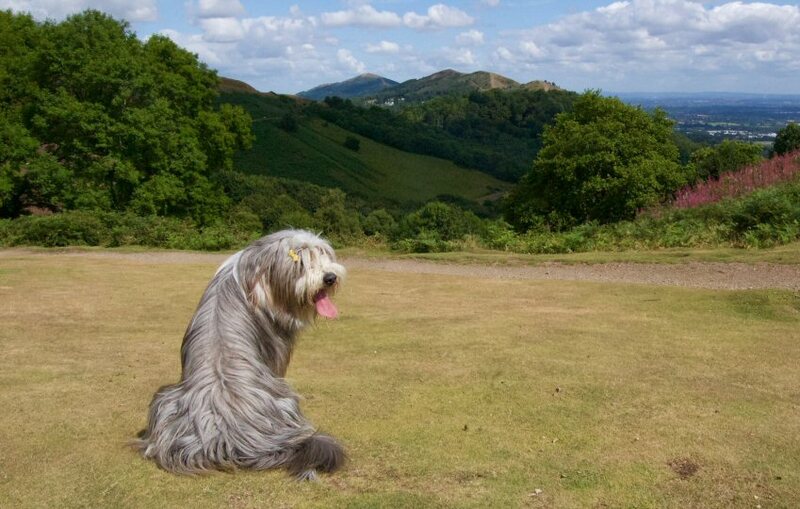 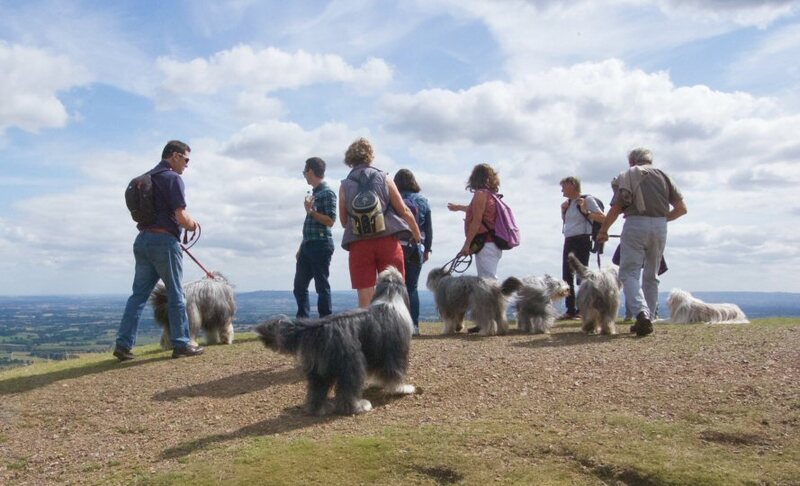 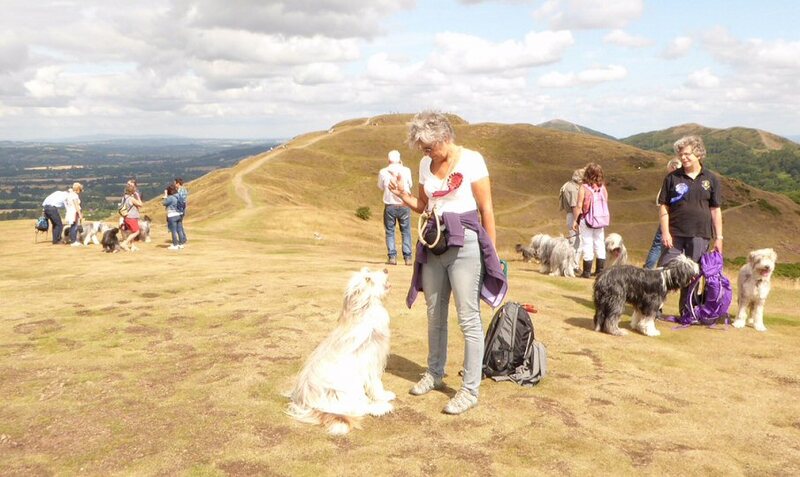 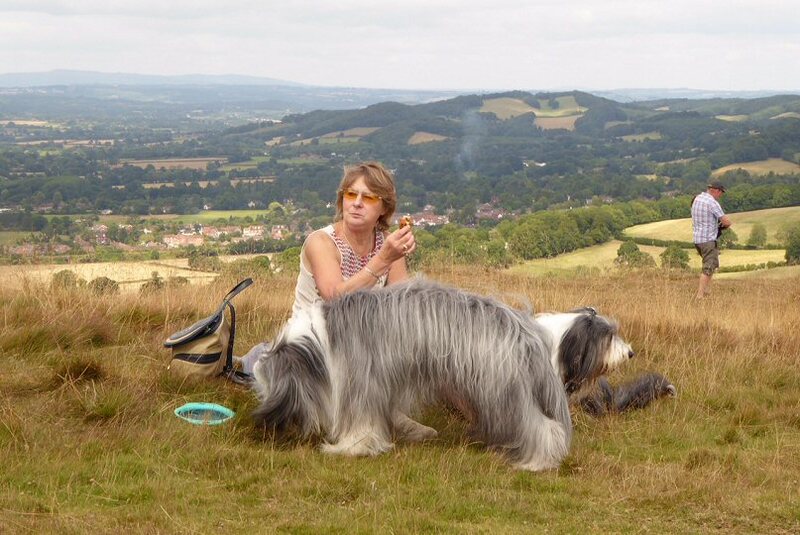 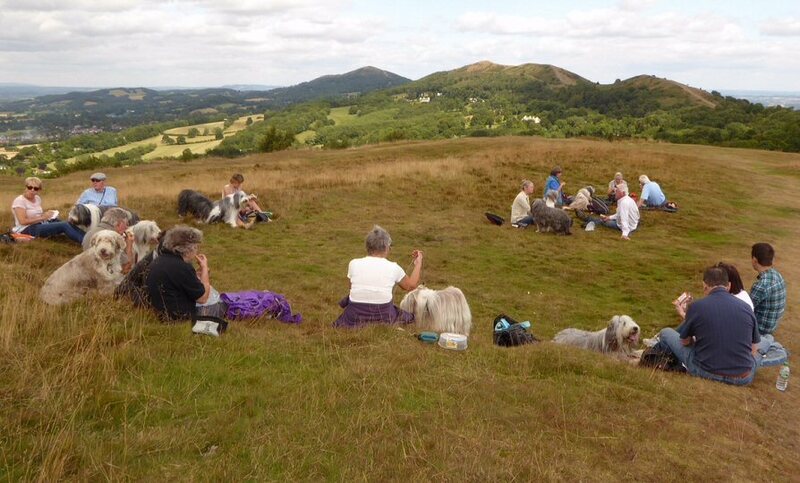 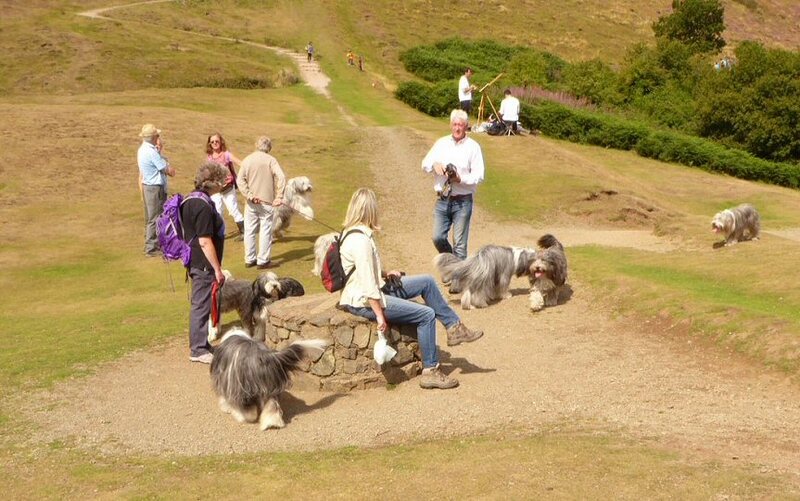 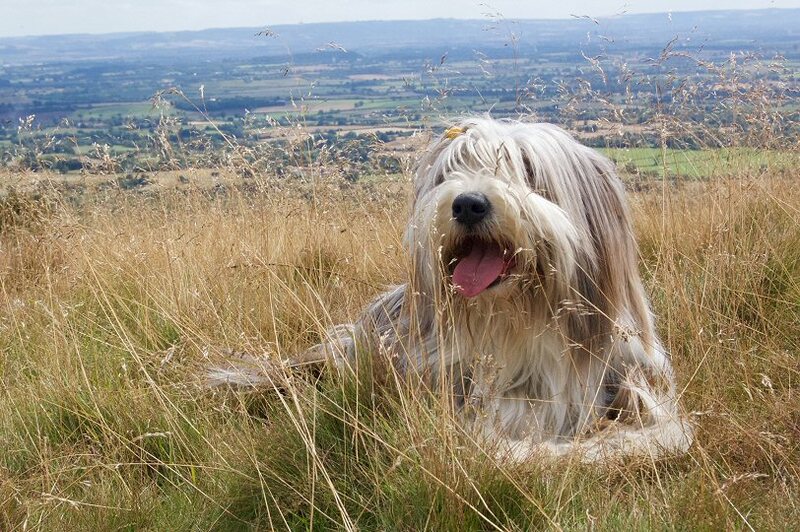 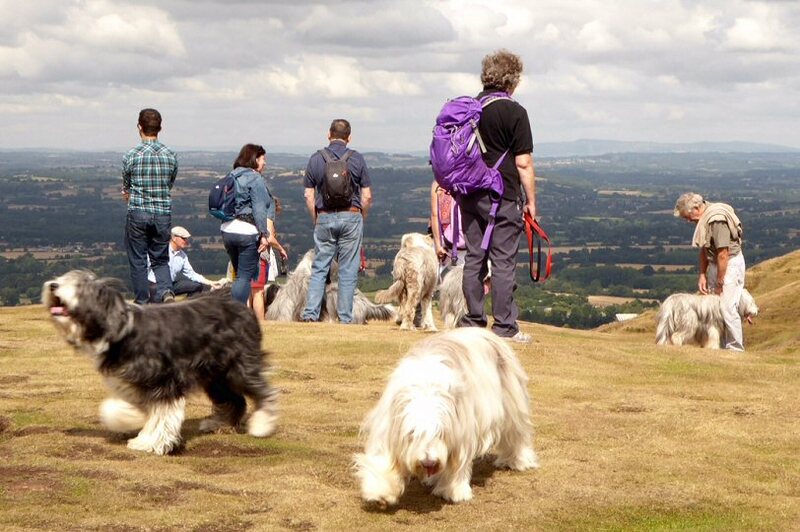 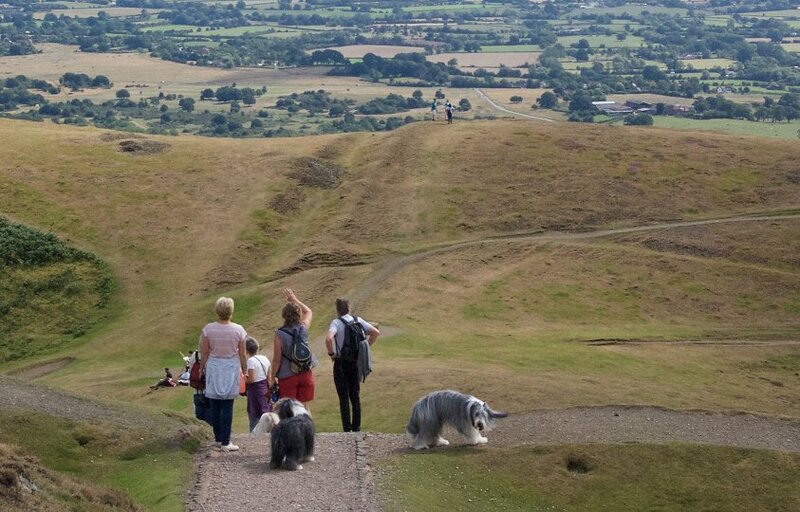 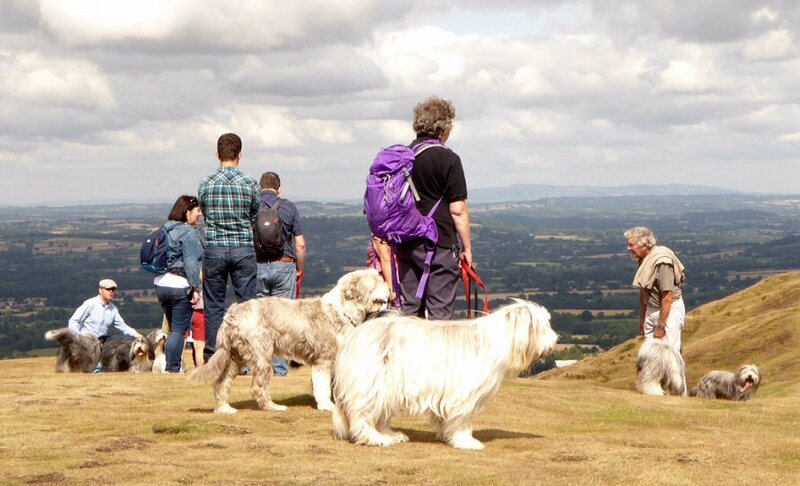 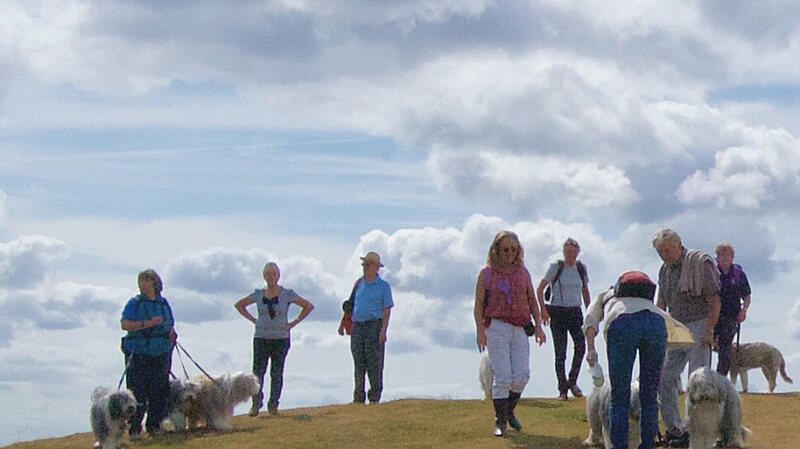 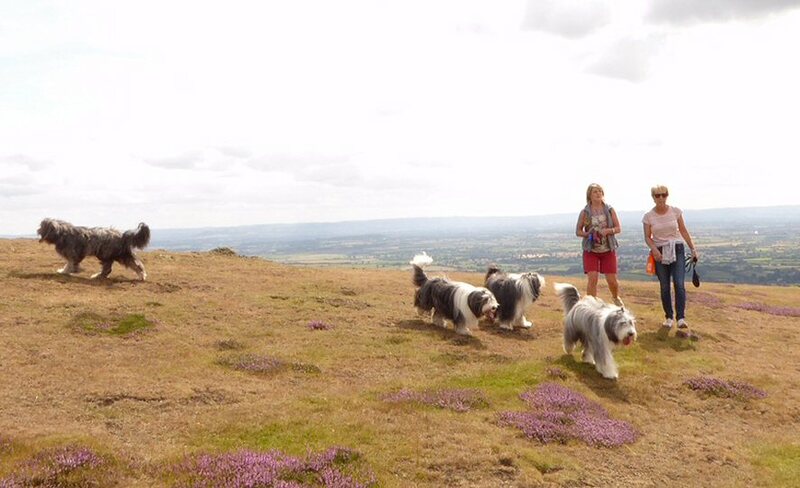 Back to the Malverns after a break of several years for a ramble and picnic. 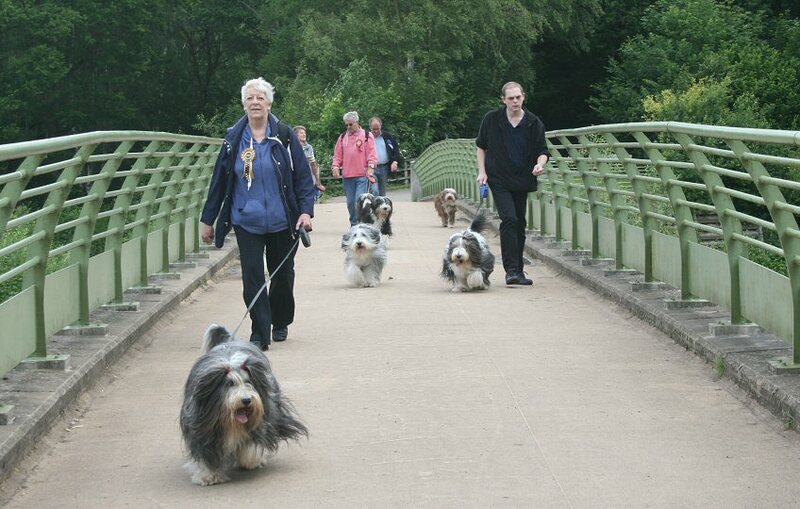 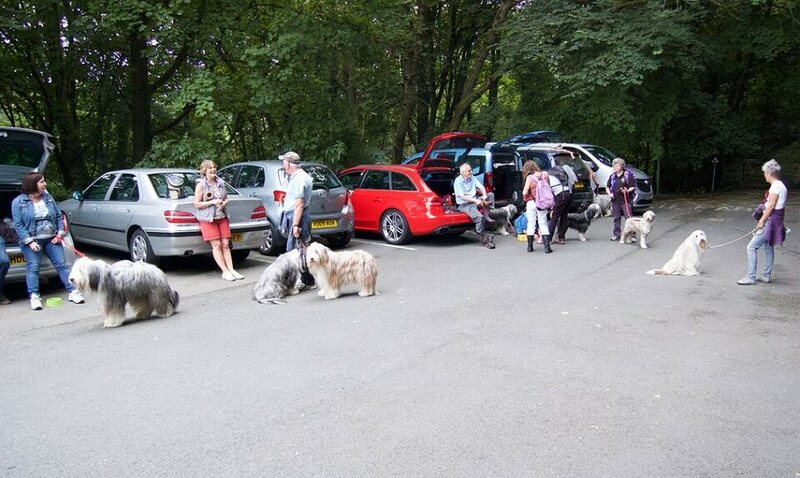 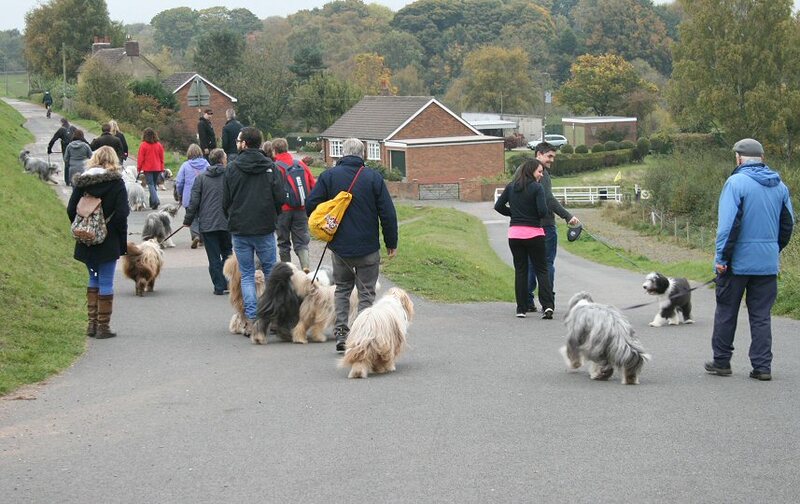 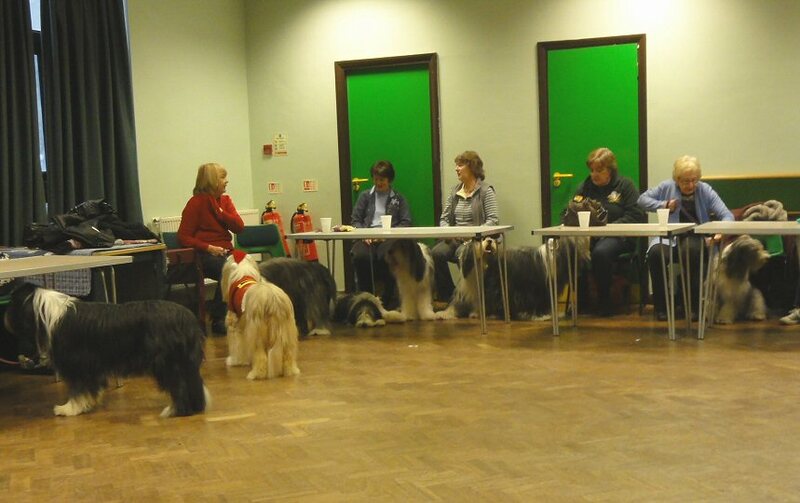 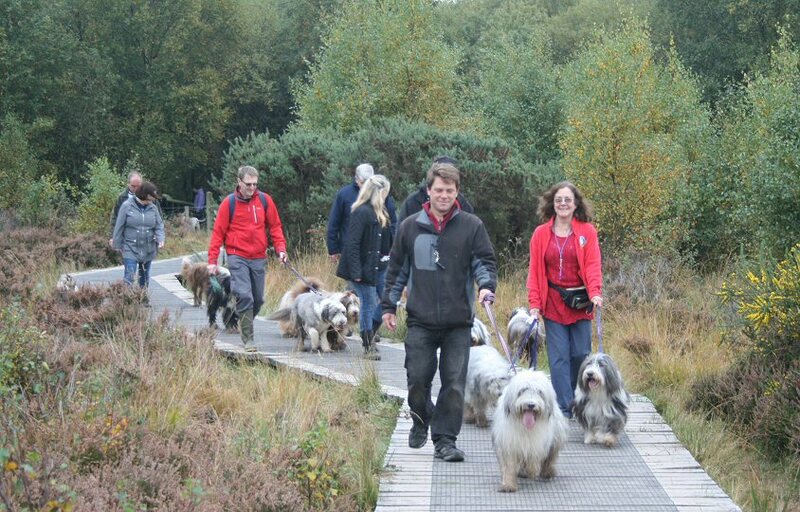 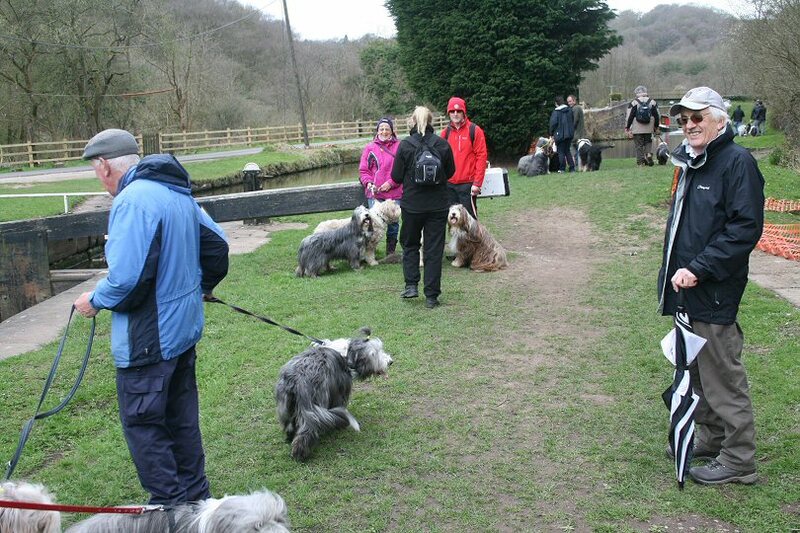 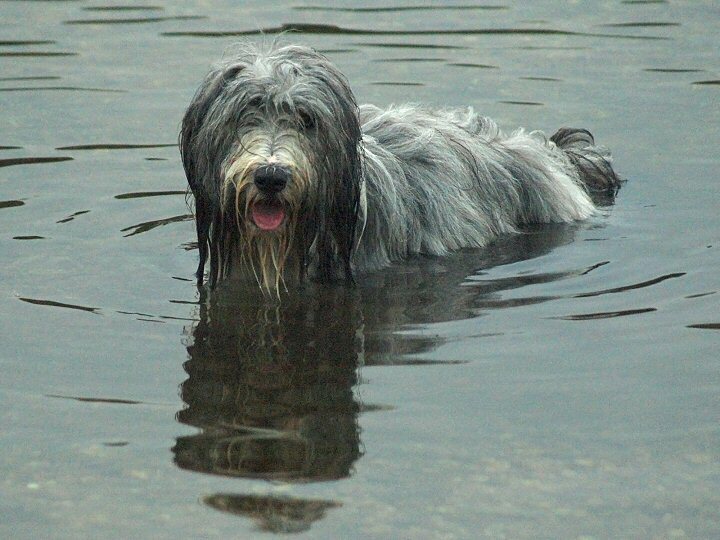 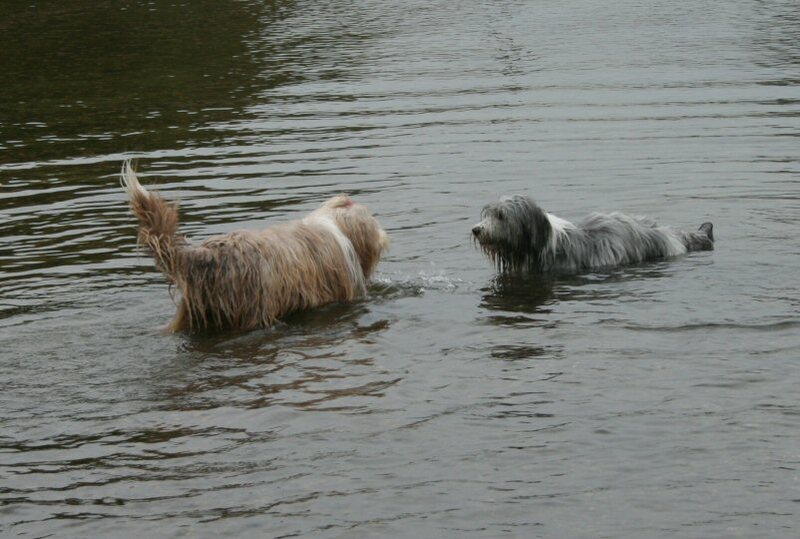 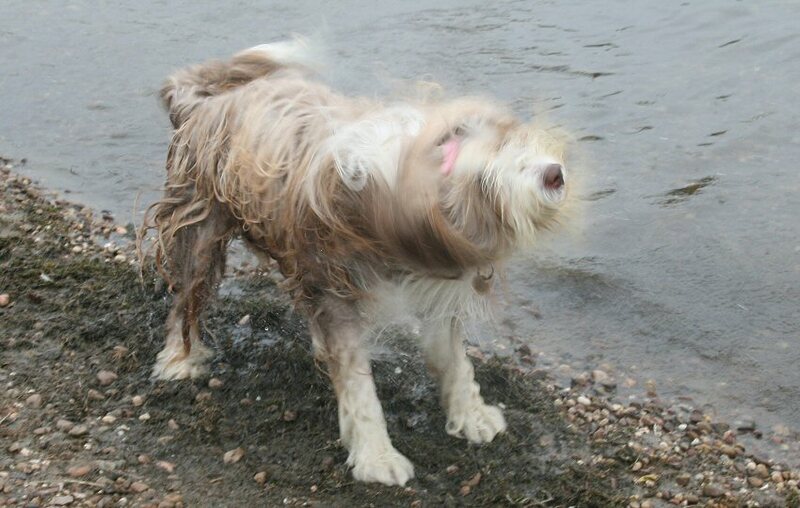 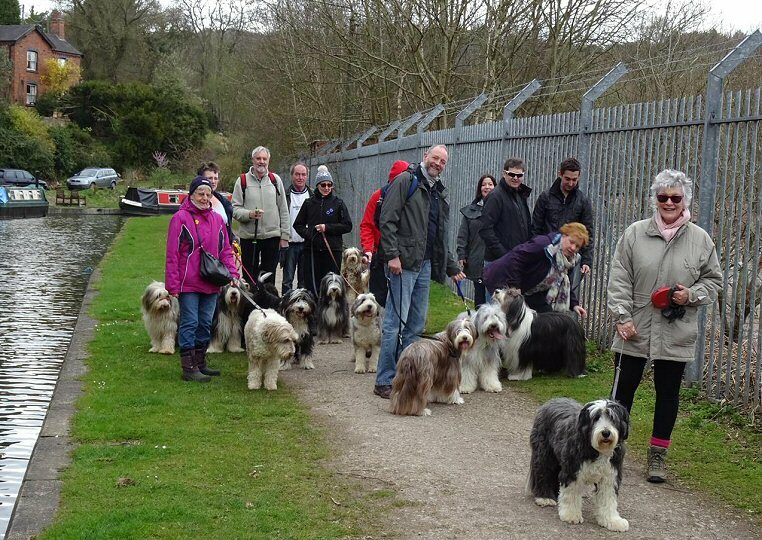 Fortunately, the weather was lovely and this prompted a good turn-out of around sixteen members and loads of Beardies! 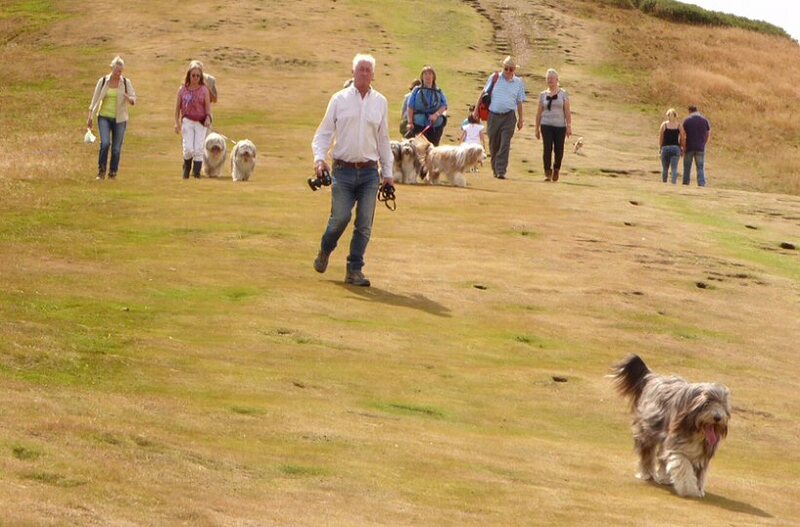 The simple formula of 'bring your own tucker' seems to have been popular and no doubt will be used again next year. 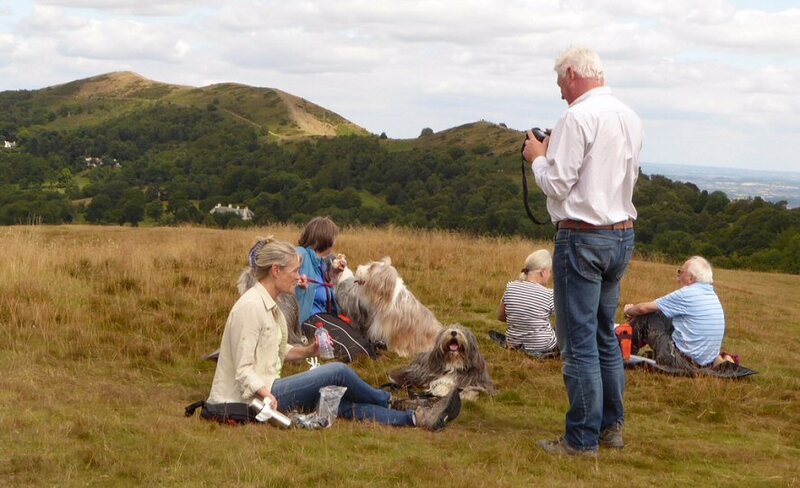 Great photos from Keith and Chez - thankyou both. 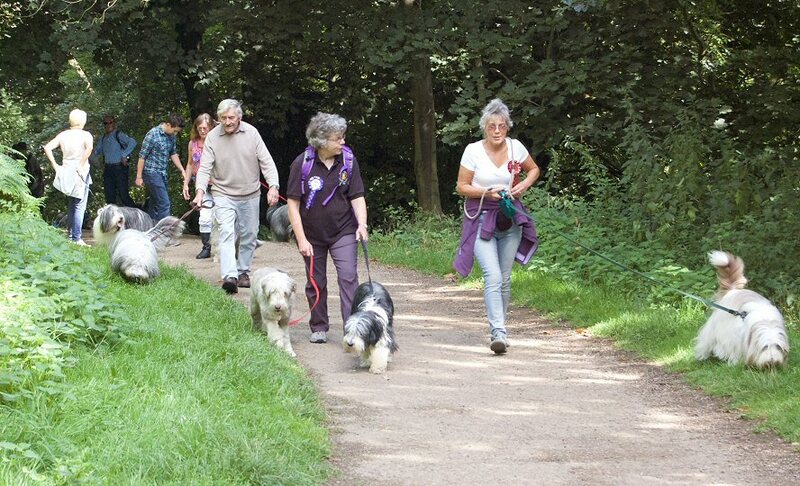 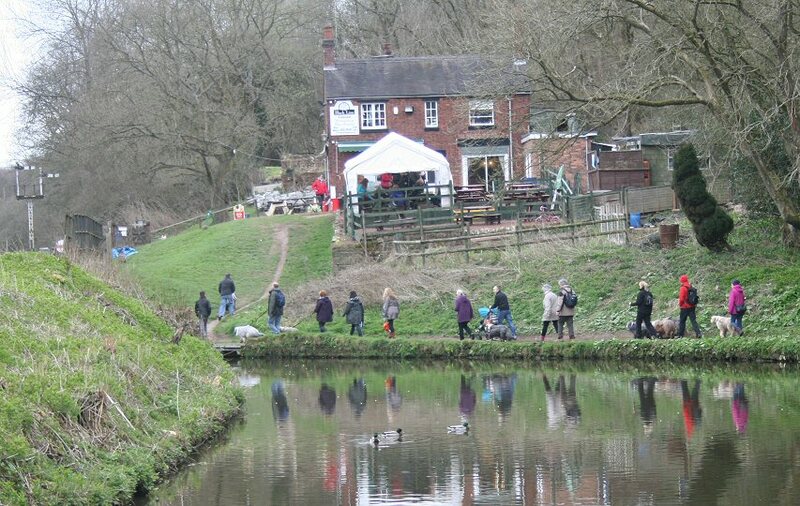 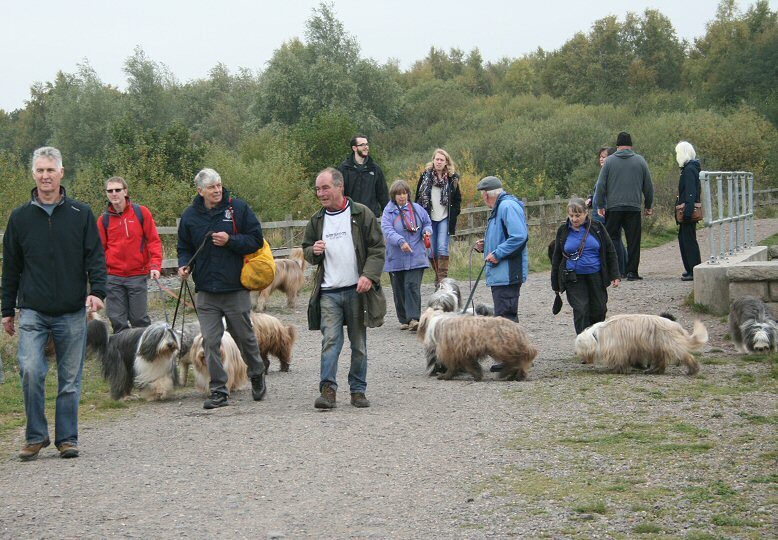 The last-minute change to our venue did nothing to deter a healthy number of walkers and their Beardies from participating in this final outdoor event of 2015. 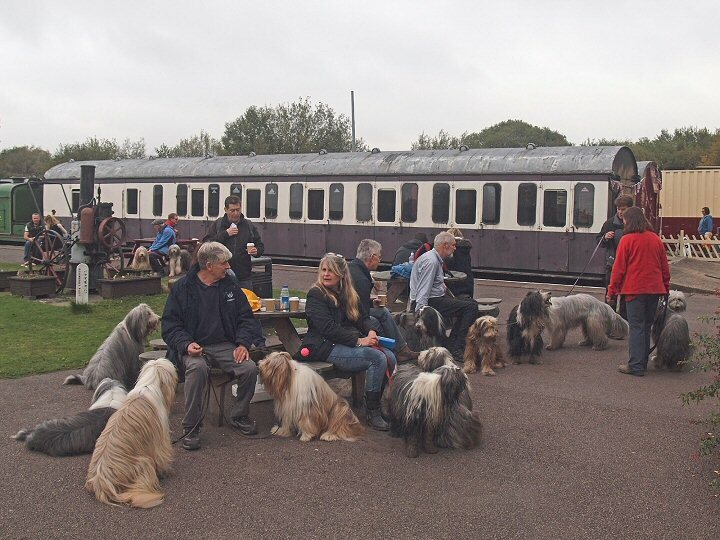 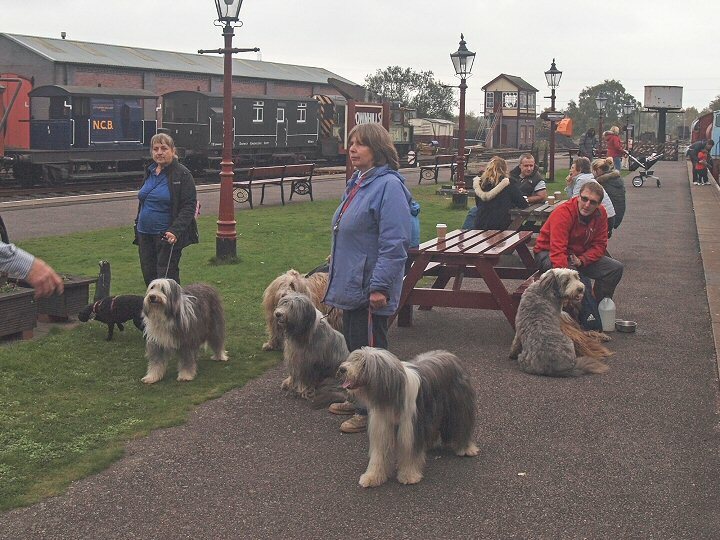 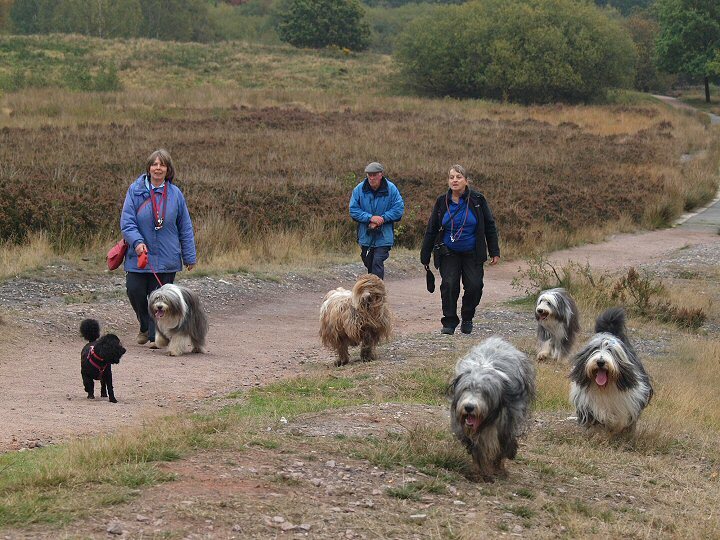 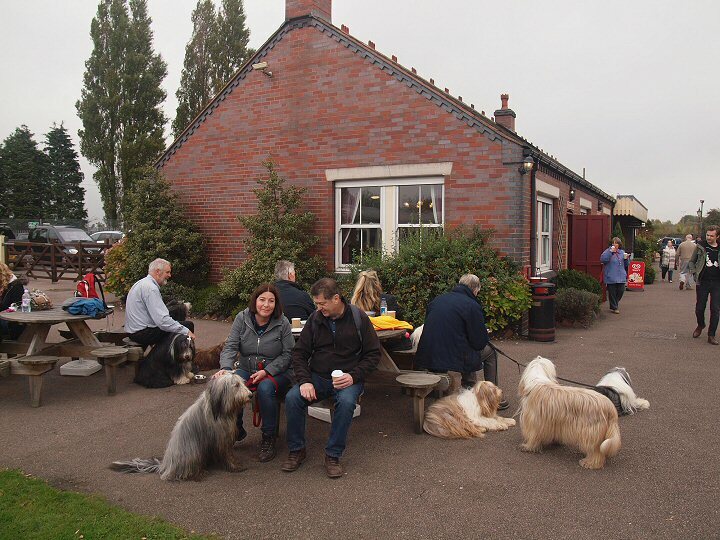 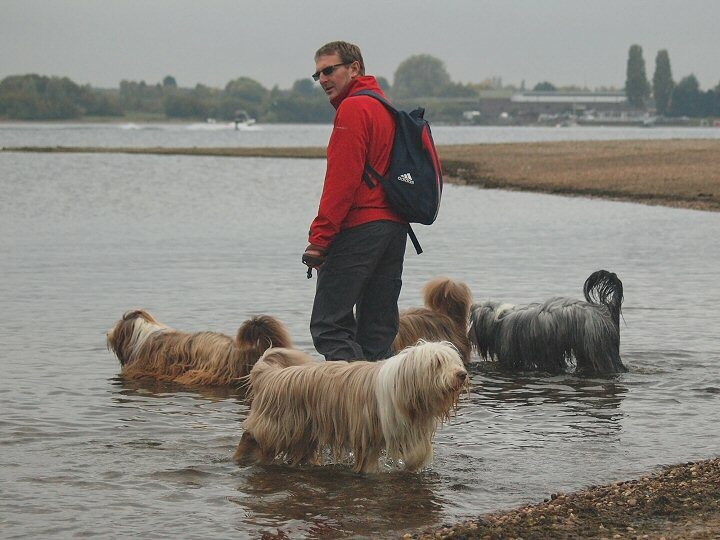 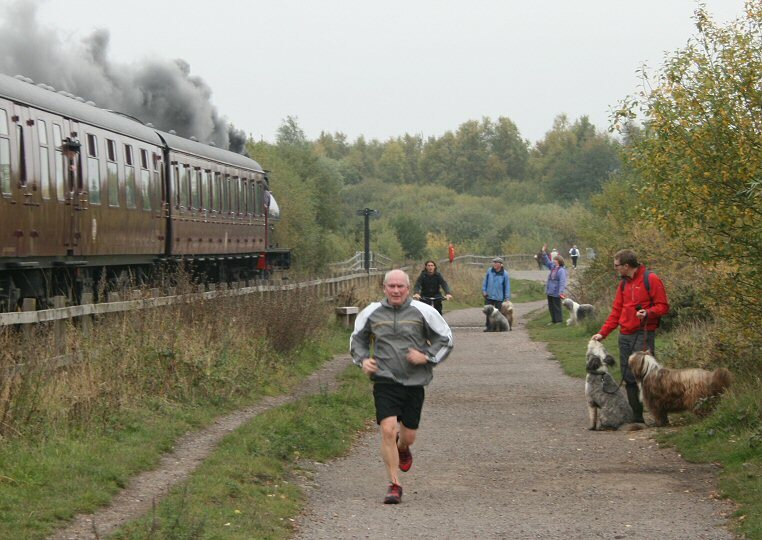 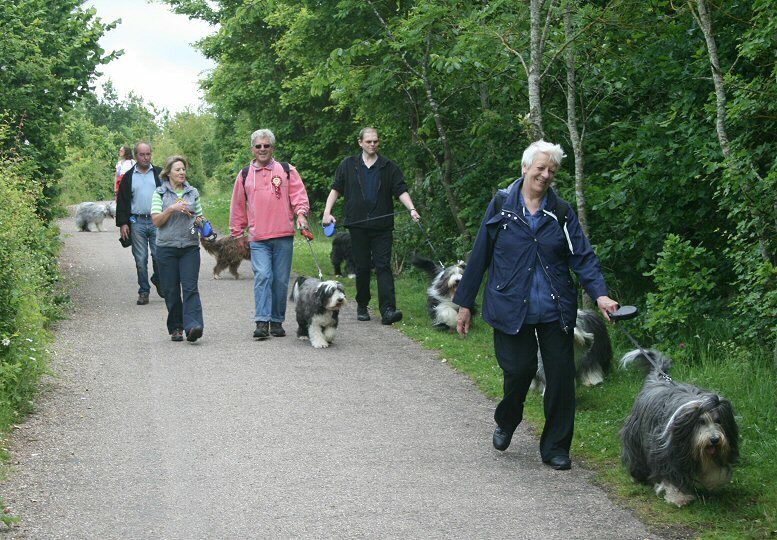 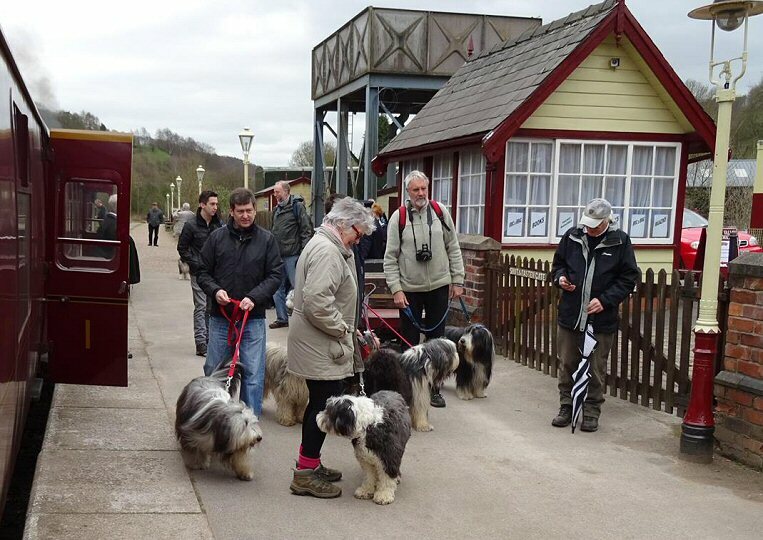 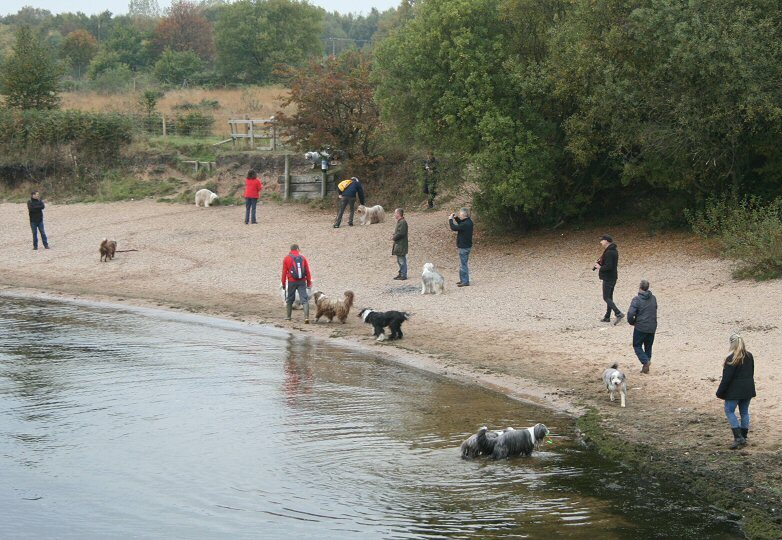 Around fifteen owners and about twenty Beardies enjoyed a circuit of Chasewater lake before adjourning to The Sidings Cafe. 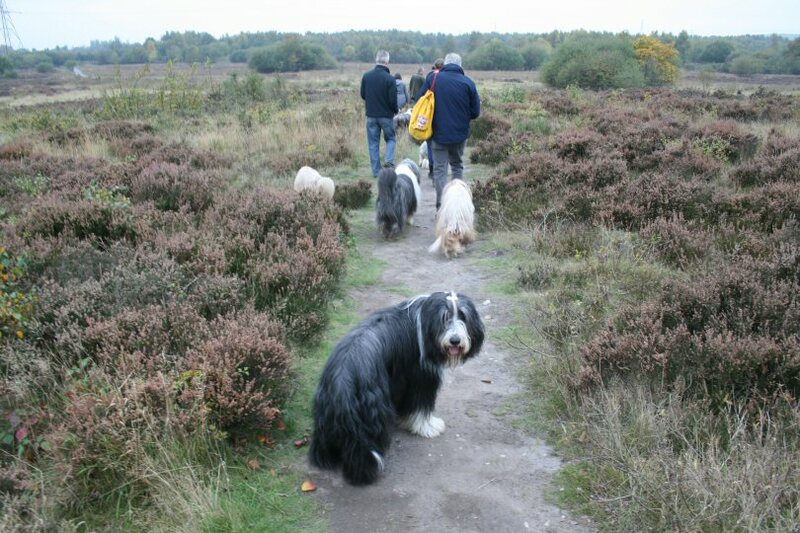 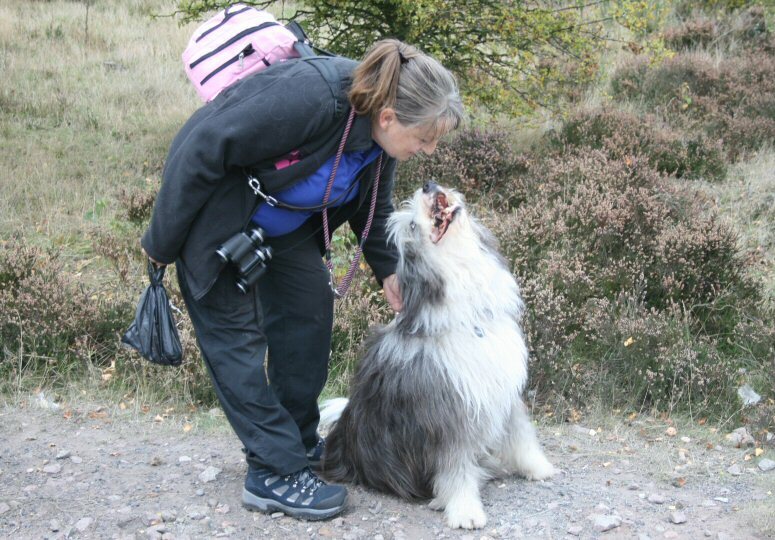 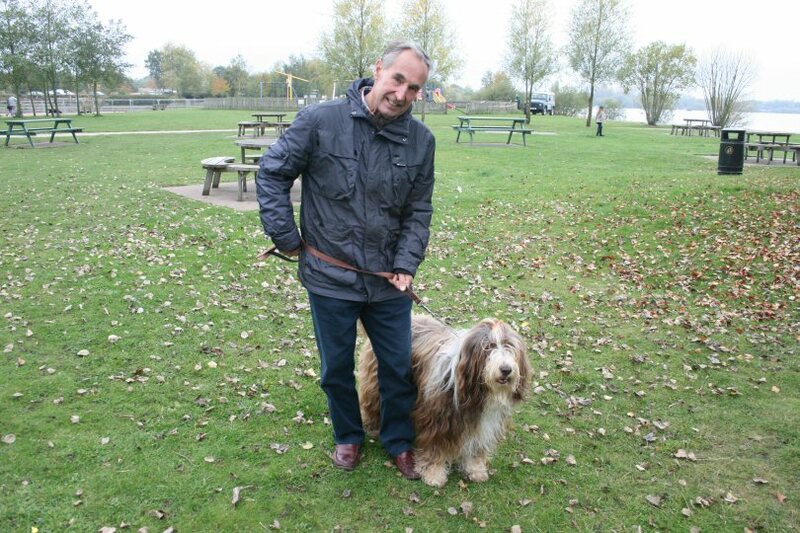 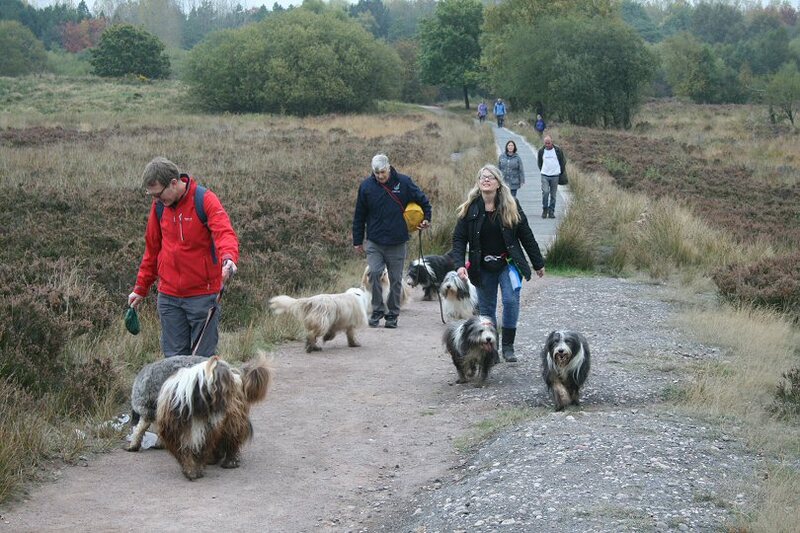 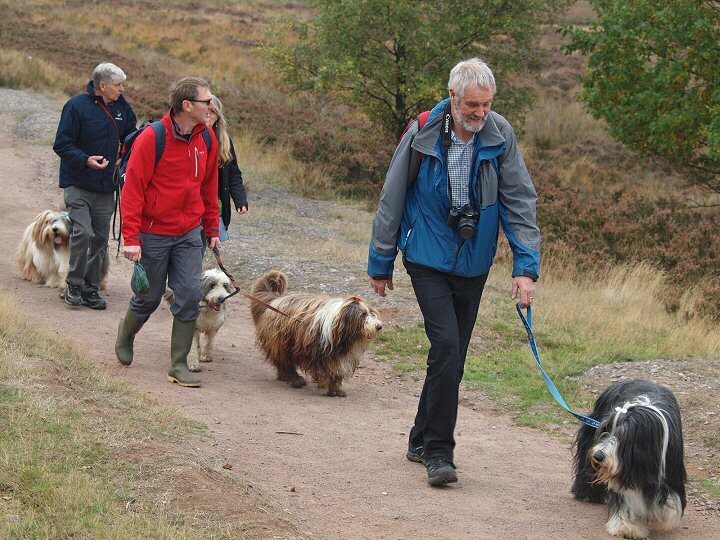 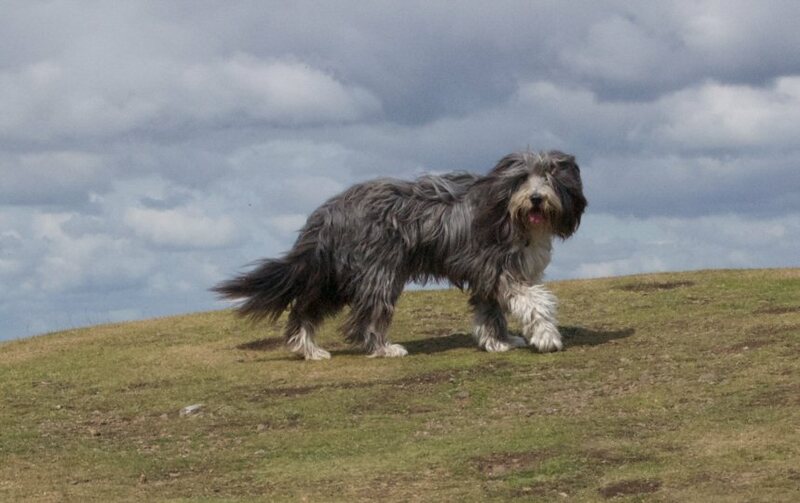 This was a great walk and one to be repeated! 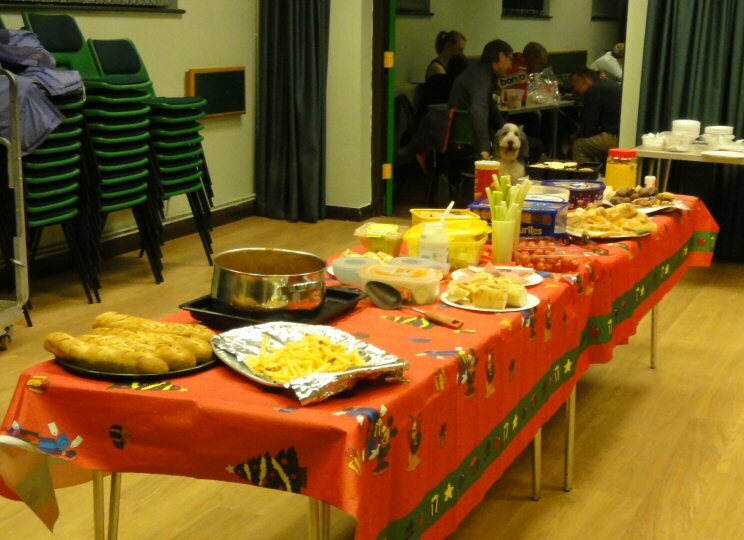 Our last event of the season organised by a hard-working committee attracted a reasonable attendance of members who enjoyed all the usual fun and games and a very tasty buffet. 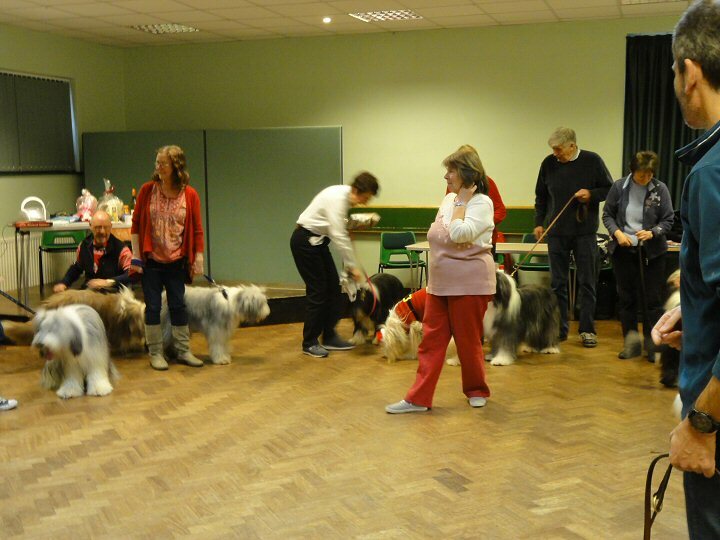 This was a great way to round off a year's activities!